Above link to the official site. 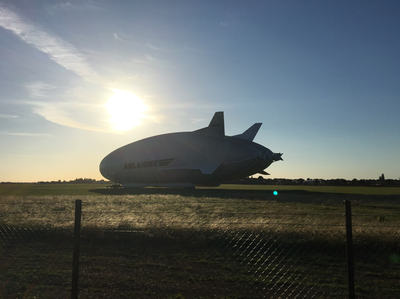 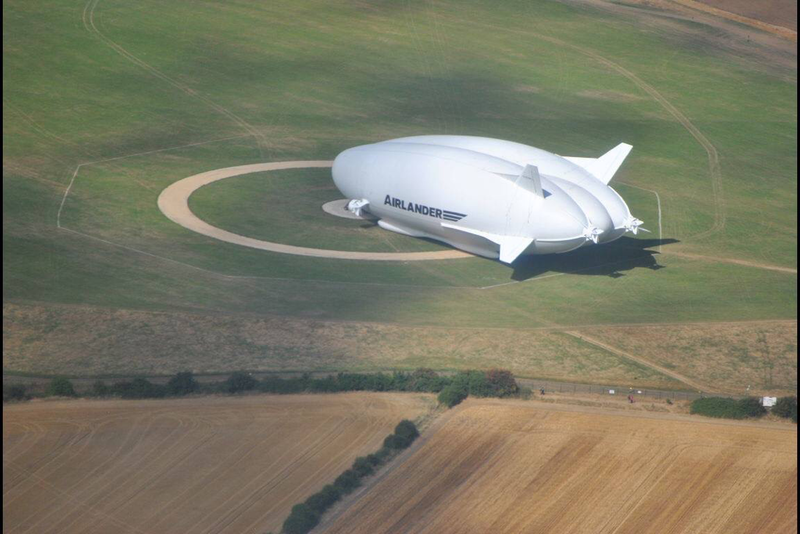 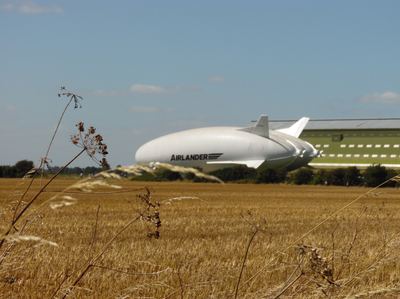 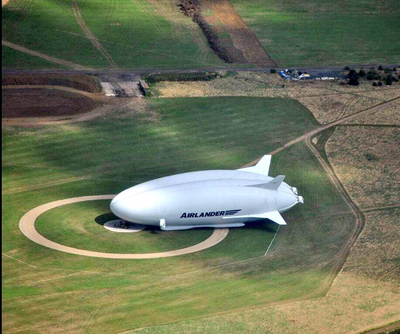 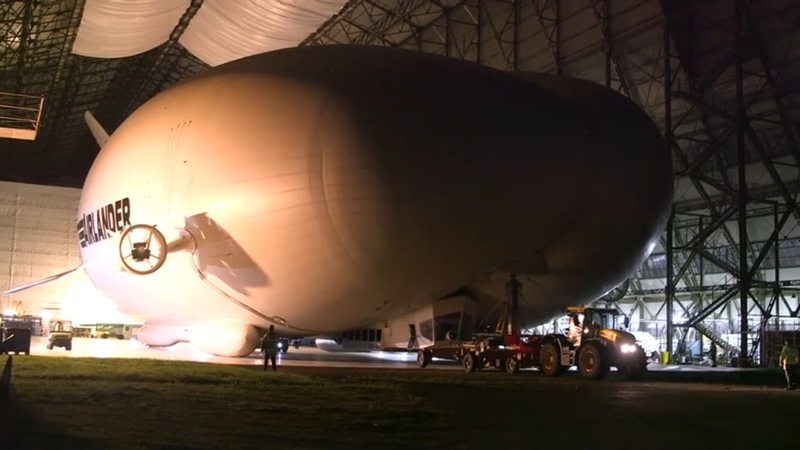 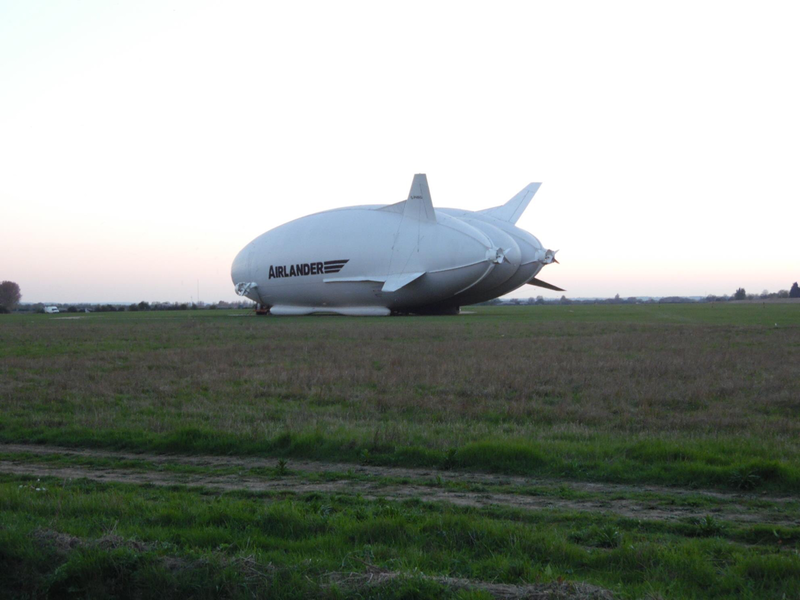 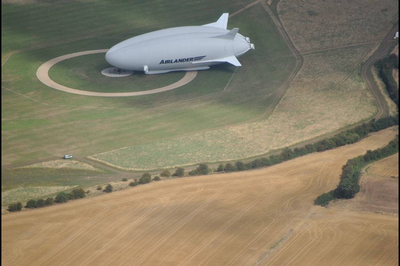 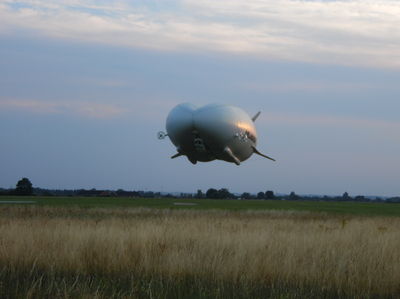 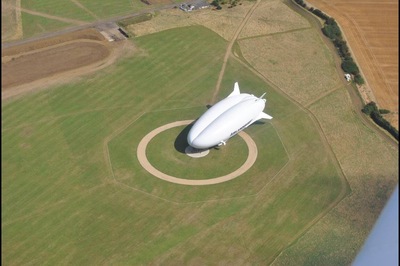 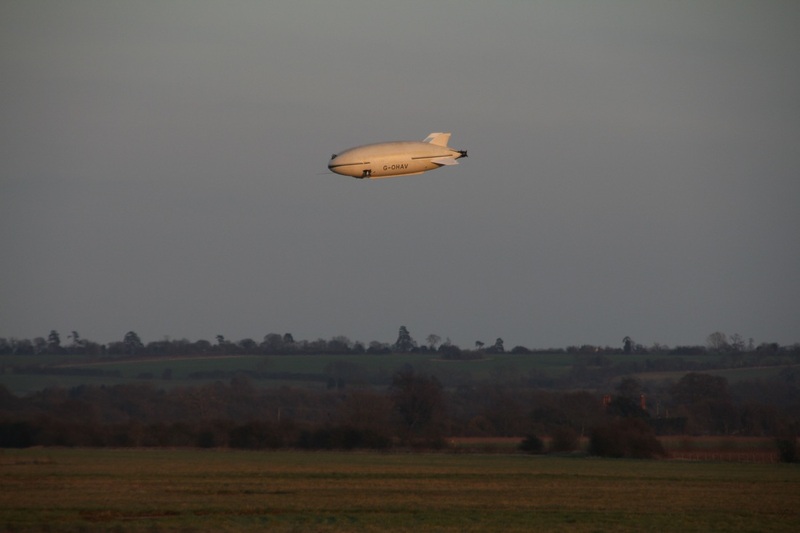 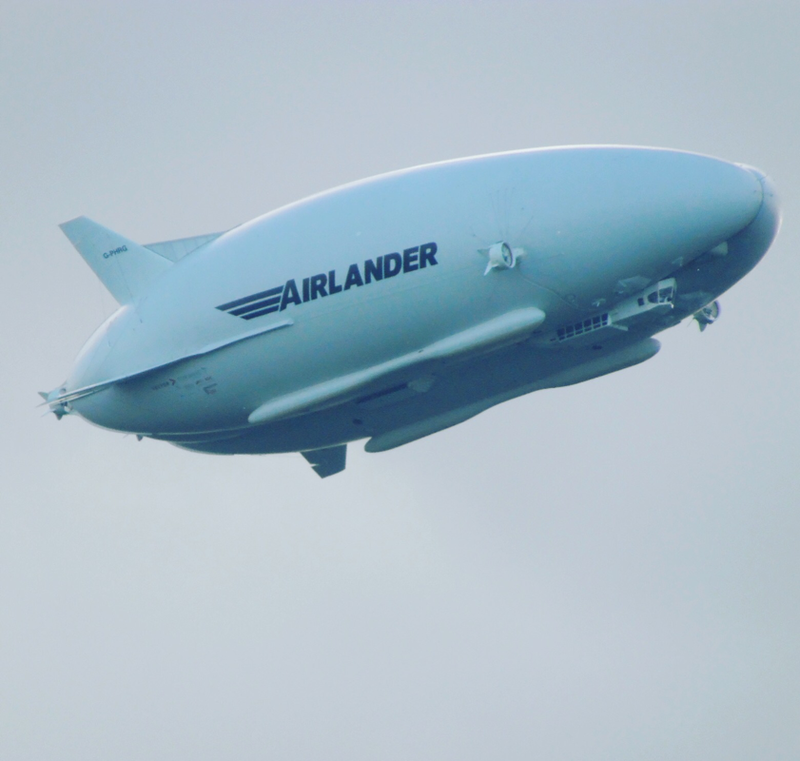 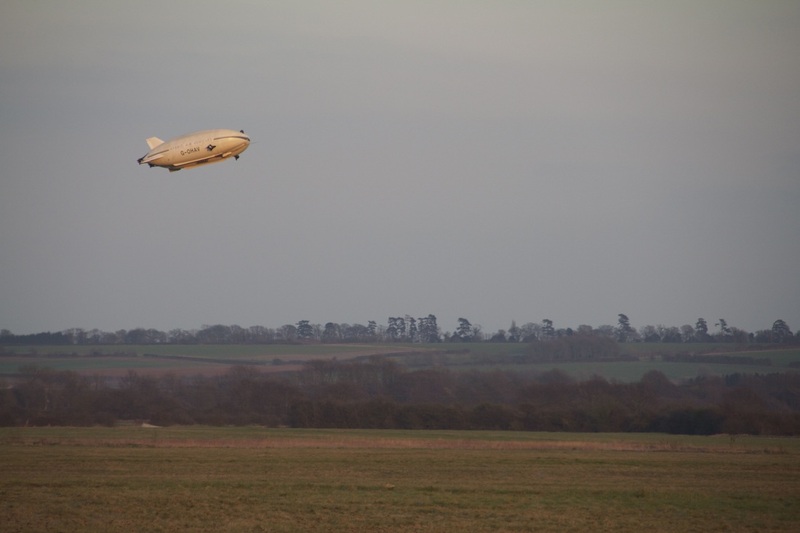 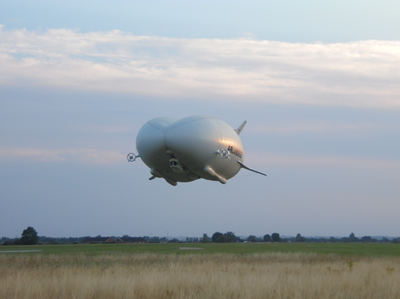 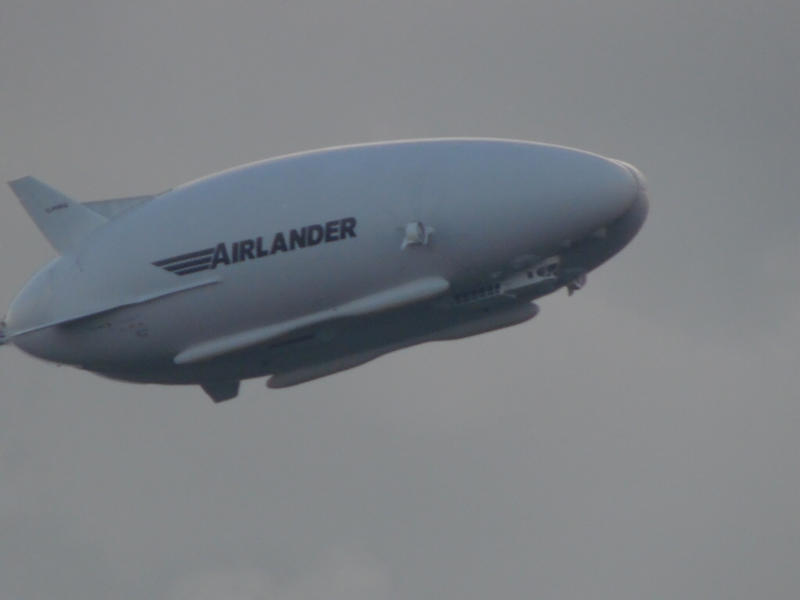 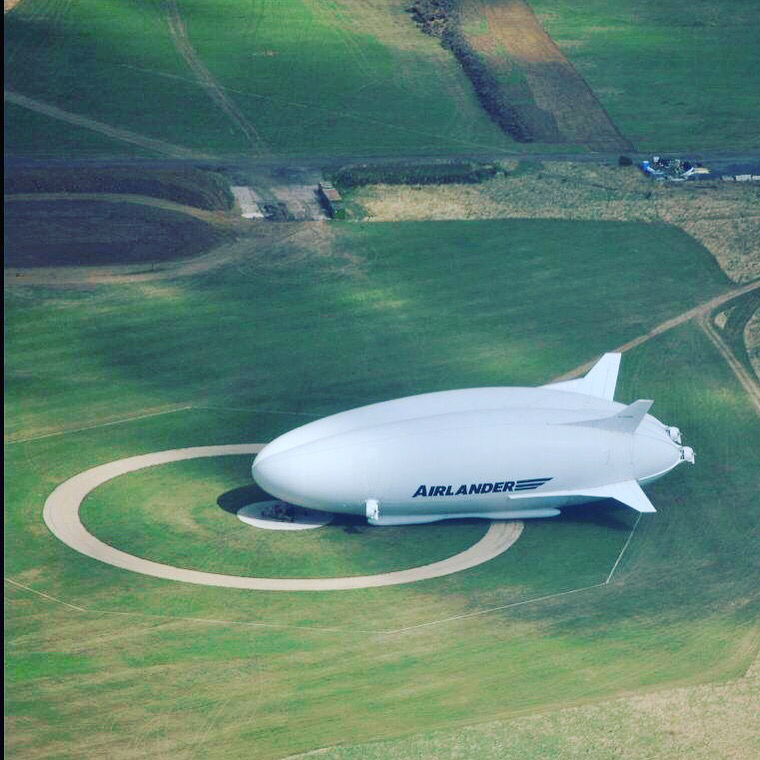 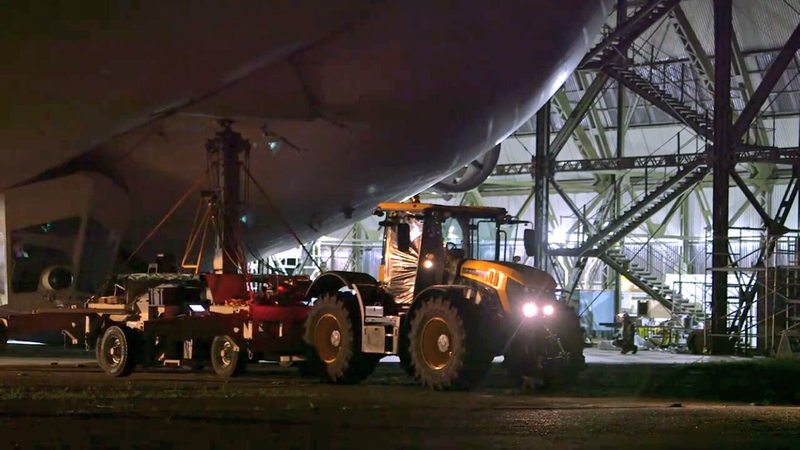 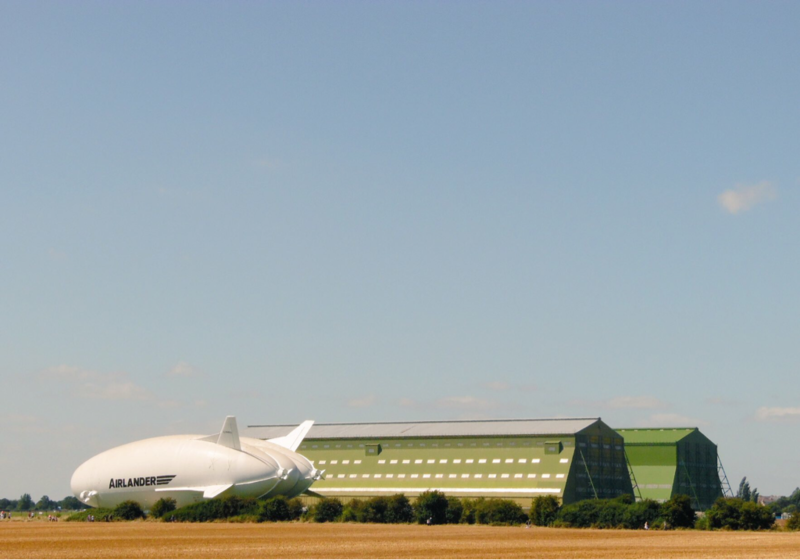 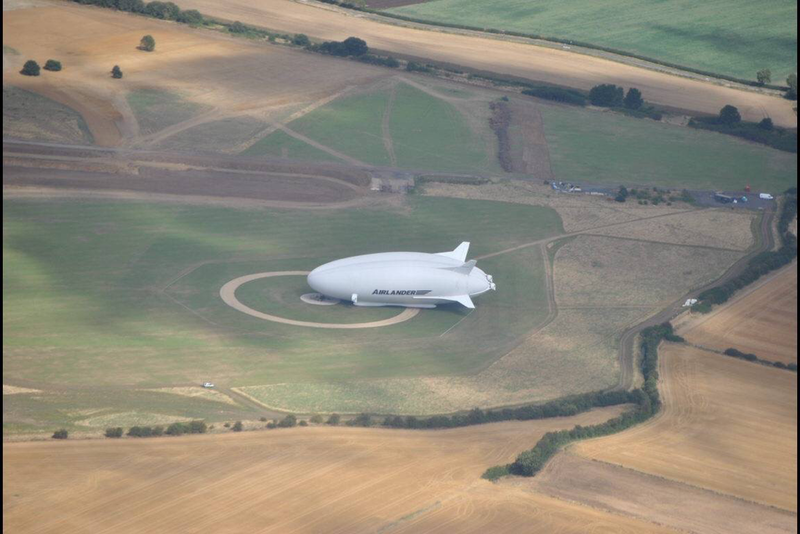 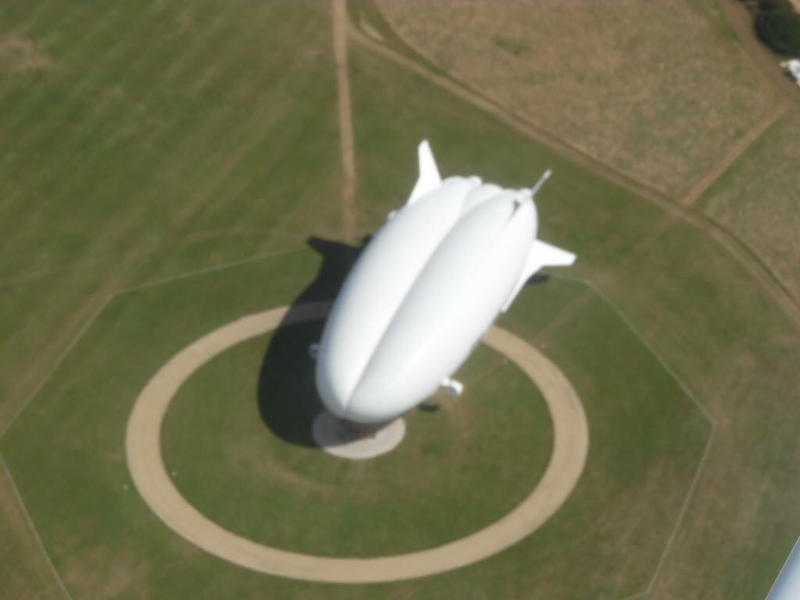 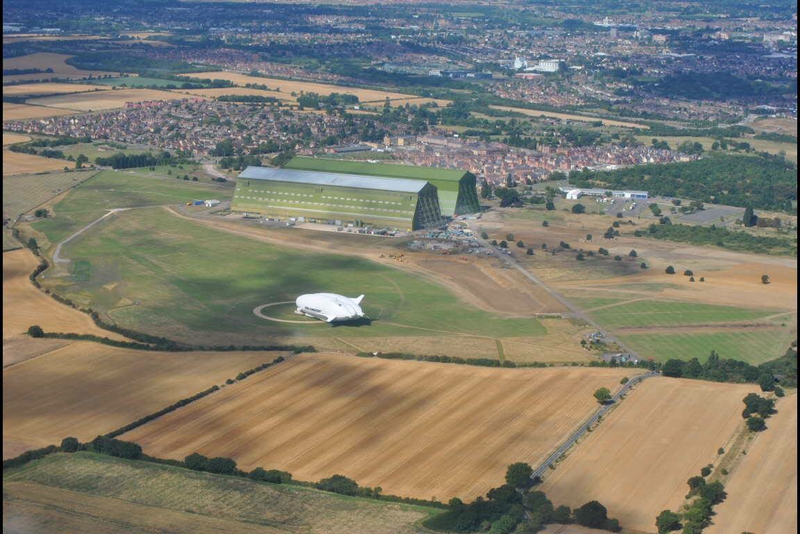 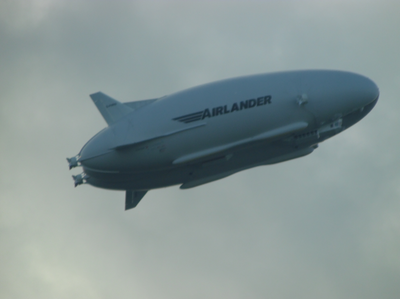 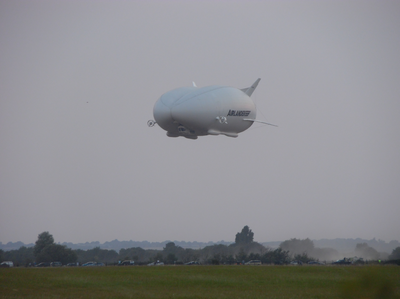 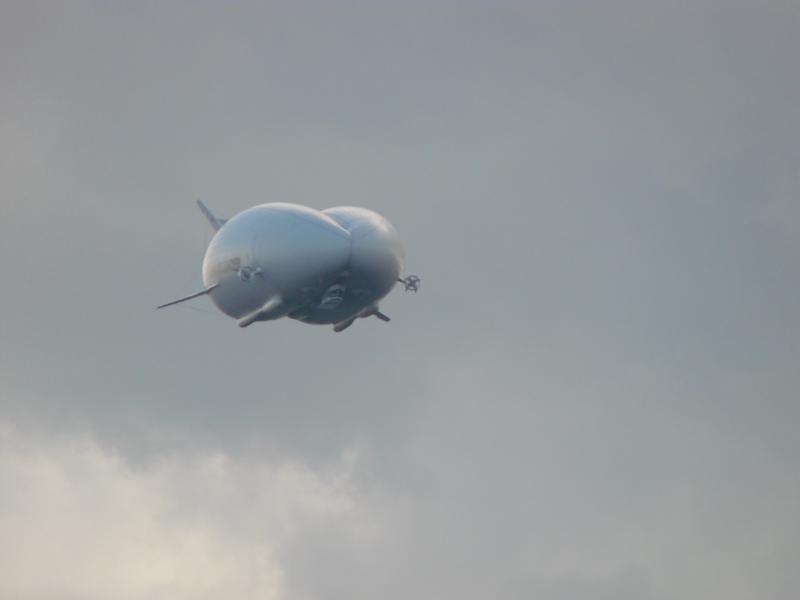 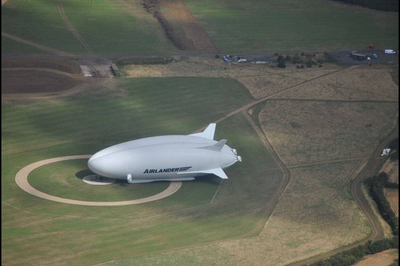 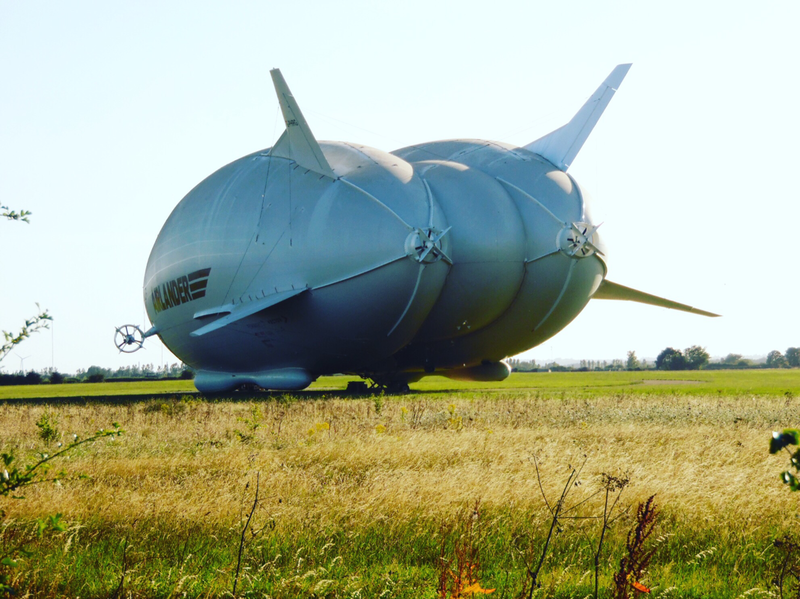 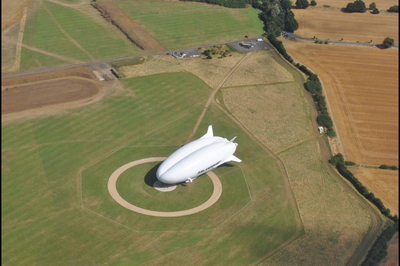 Hybrid Air Vehicles Airlander is to remain on the airfield at Cardington, there was wide worry that the great ship, with the news that WB will not renew HAV’s sub lease on Shed 1 will be leaving in December. 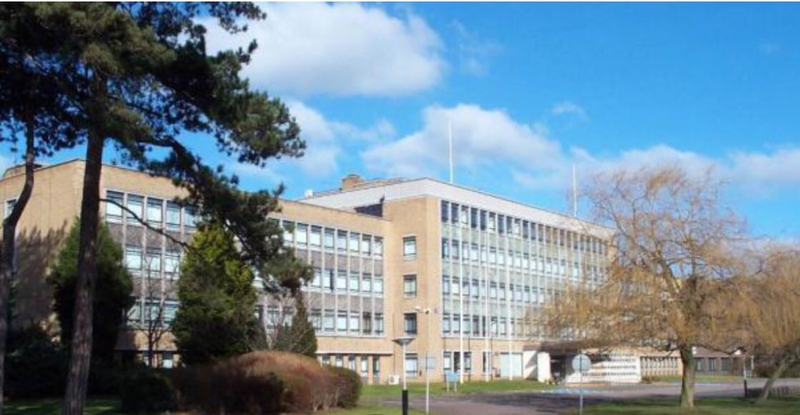 Well there is much going on but the ship will remain we presume till the new maintanance and construction facilities get going, the admin and office folk at HAV are moving however to the old Granada building on Ampthill Road, Bedford. 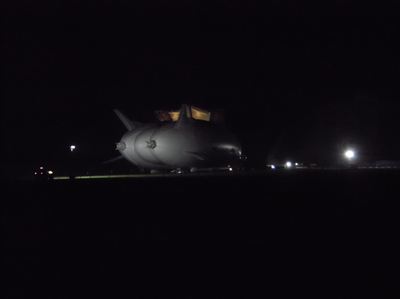 A very grand building indeed. 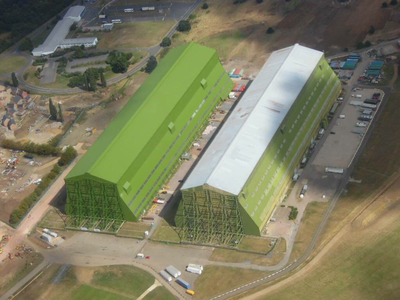 The ship will remain and Shed 2 are lending them some space for mainance. 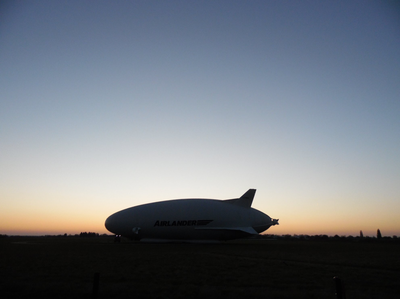 The ship will be restarting the test program very soon and the excitement is growing. 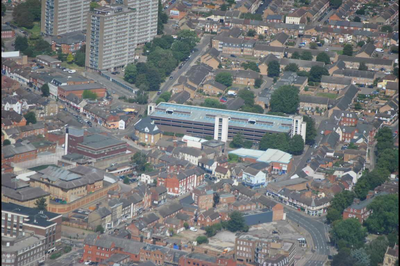 The above photo is of technology house on Ampthill Road. 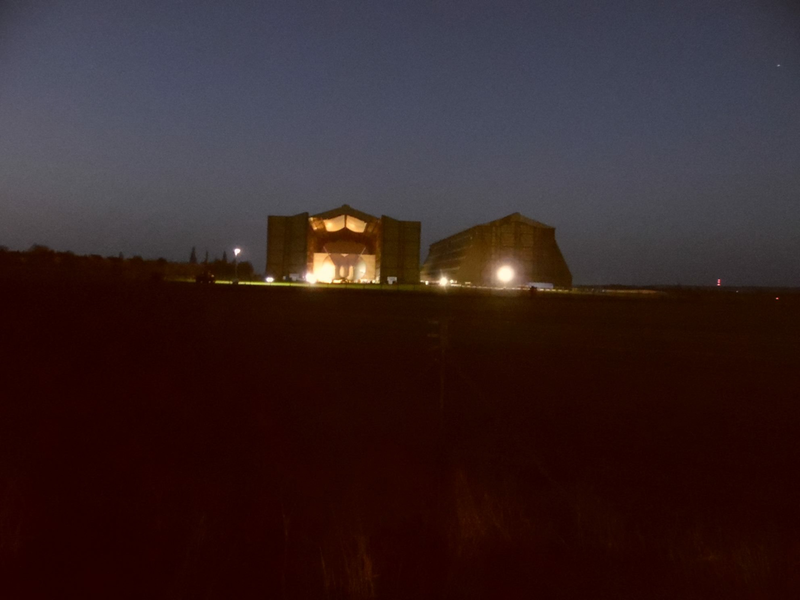 The old Granada building. Hybrid Air Vehicles new home. 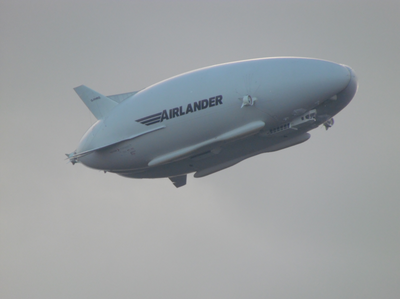 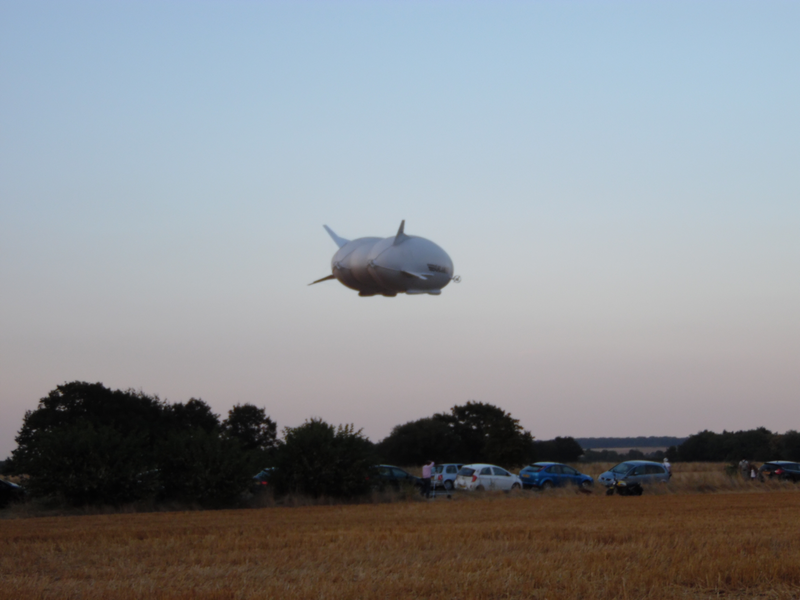 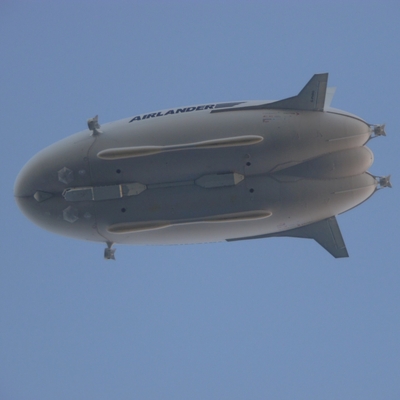 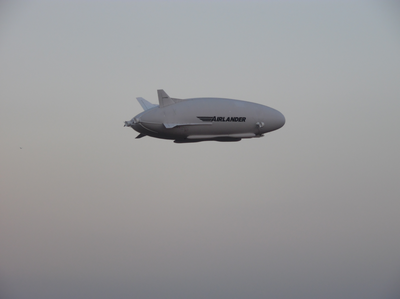 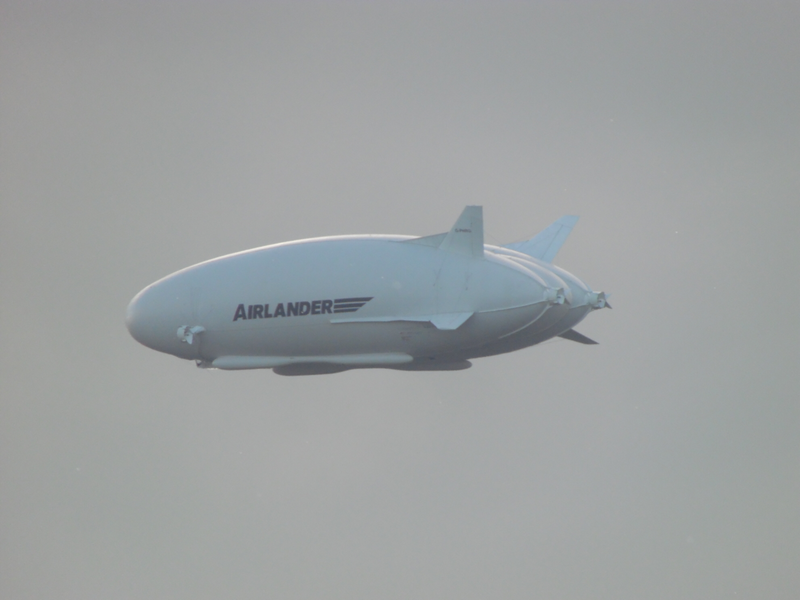 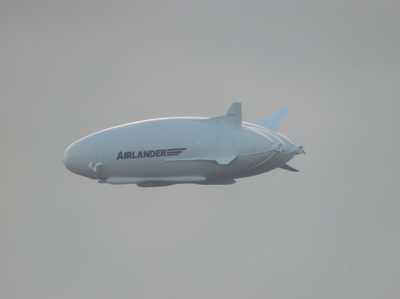 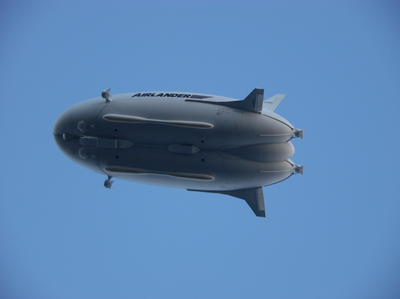 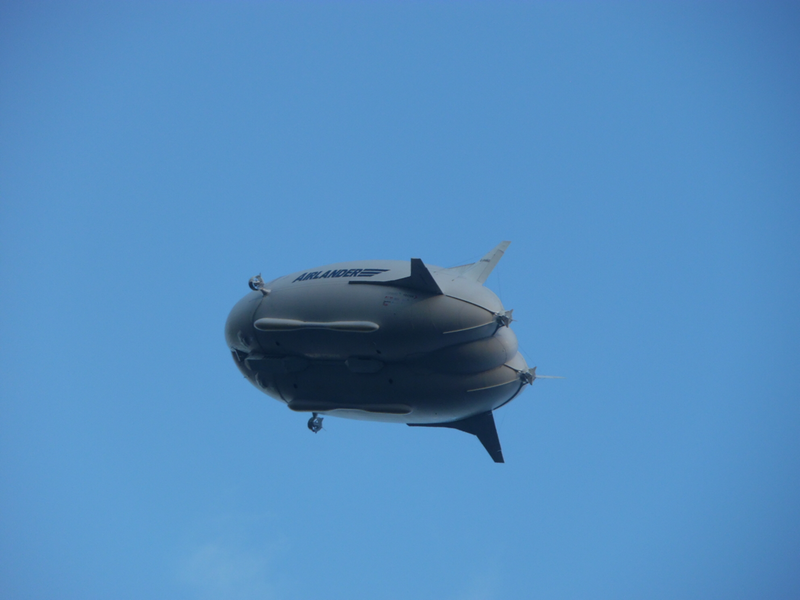 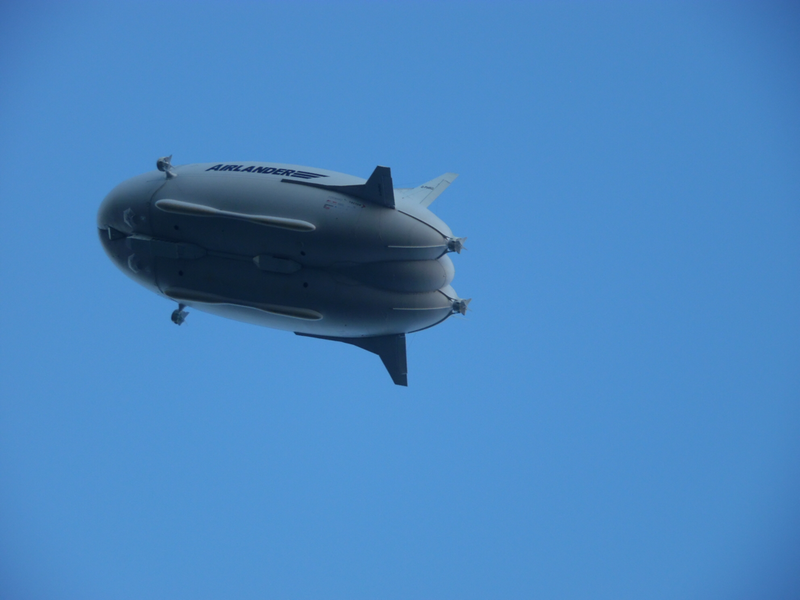 5th test flight of Airlander, 4th of July 2017.
below are pics from Airlanders last flight. 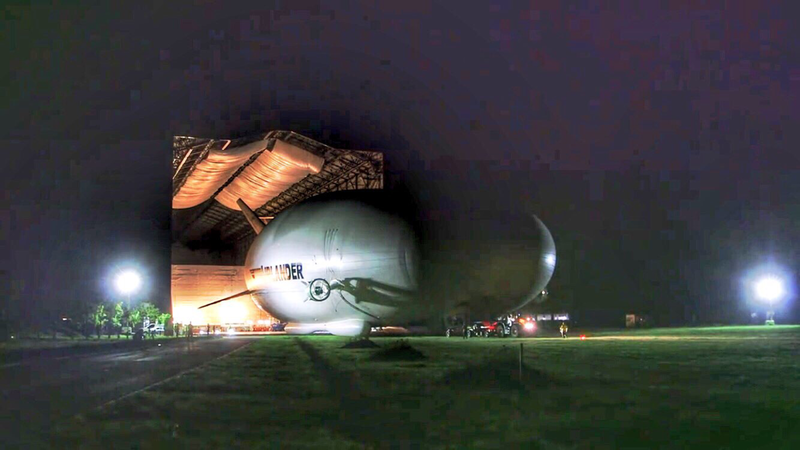 As we await her next flight on this wet Tuesday evening let's have a look back at her last cool flight. 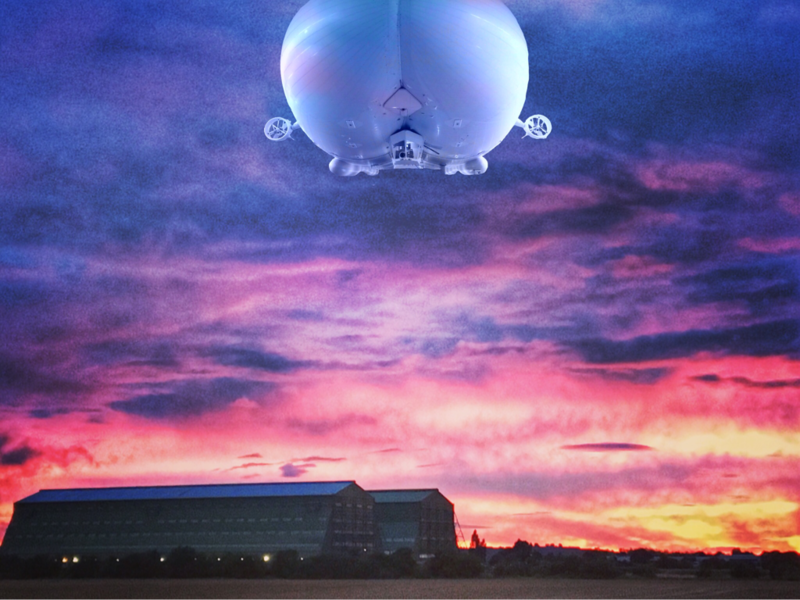 Let's hope the weather improves soon. 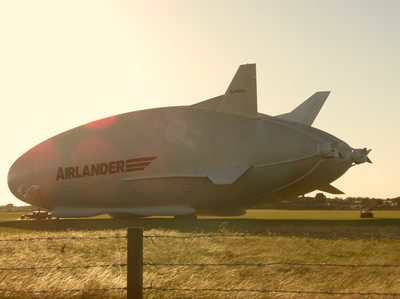 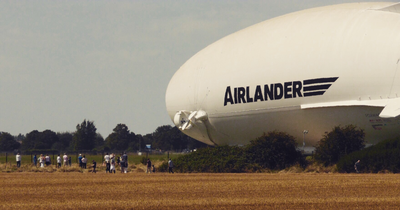 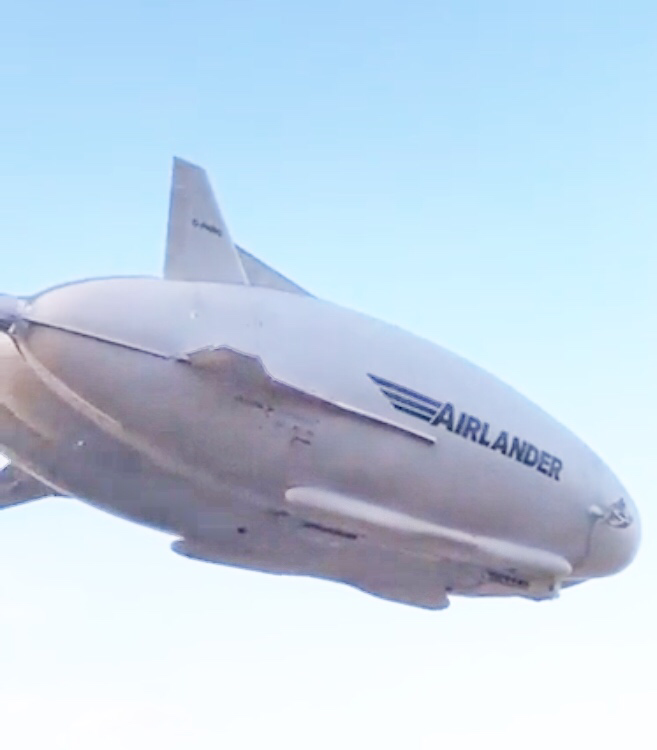 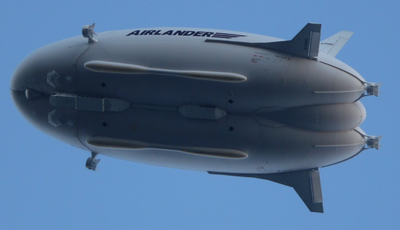 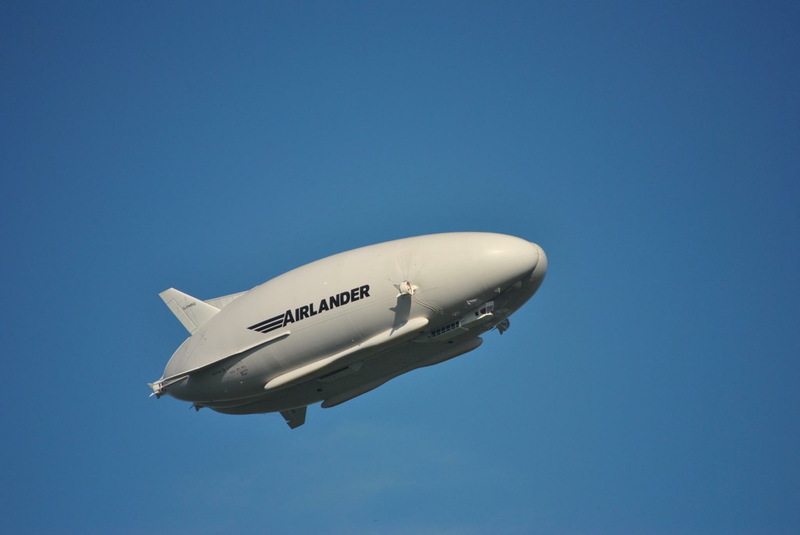 Airlander is the longest aircraft in the world. And the largest British aircraft since the R101, which by the way is and always will be the largest British aircraft ever. 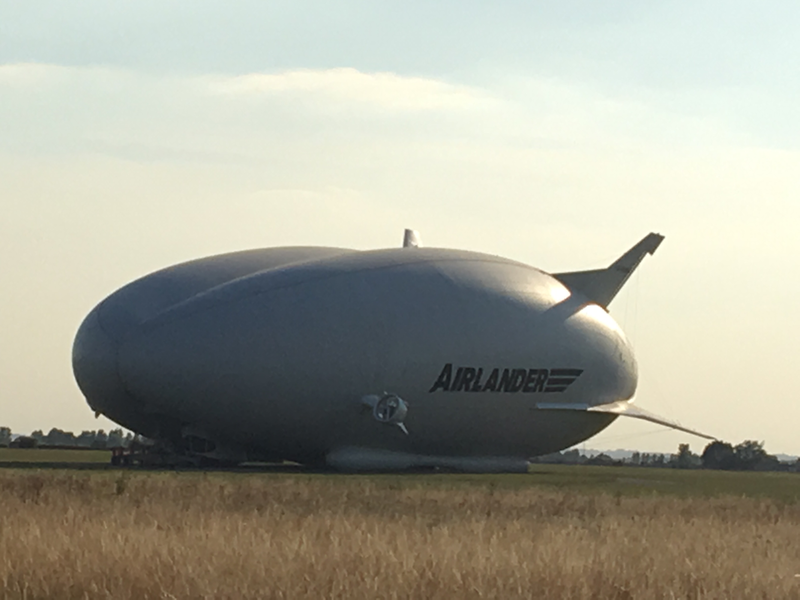 As we await Airlander and her third 2017 flight it has been very cool to witness. 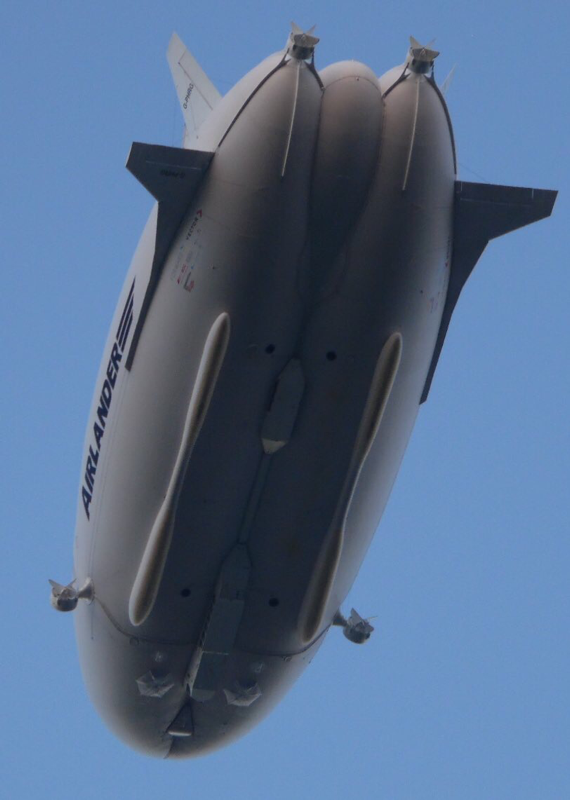 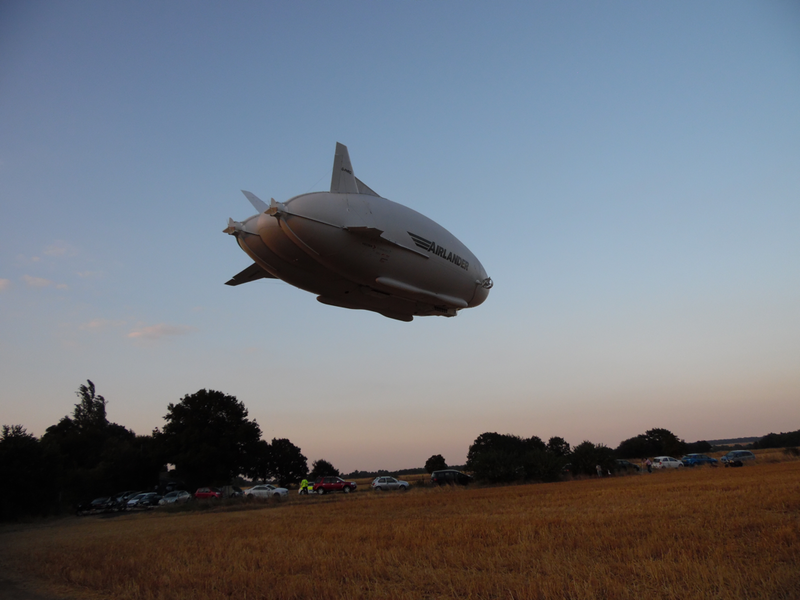 The second flight occurred on the 13-06-2017, she flew beutifully, large crowds slowly built up due to HAV wisely not releasing they were to fly to avoid massive crowds instantly descending on the airfield perimeter, but once Airlander is up she is hard to miss lol. 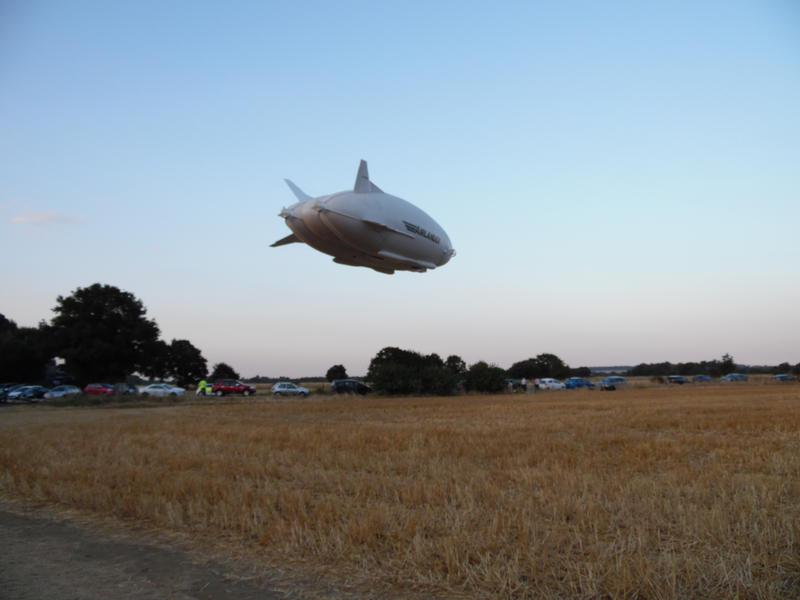 I viewed her flight all over the countryside following in our chase vehicle ;-) it was cool to see and there were lots of folks parked up in differing vantage points. 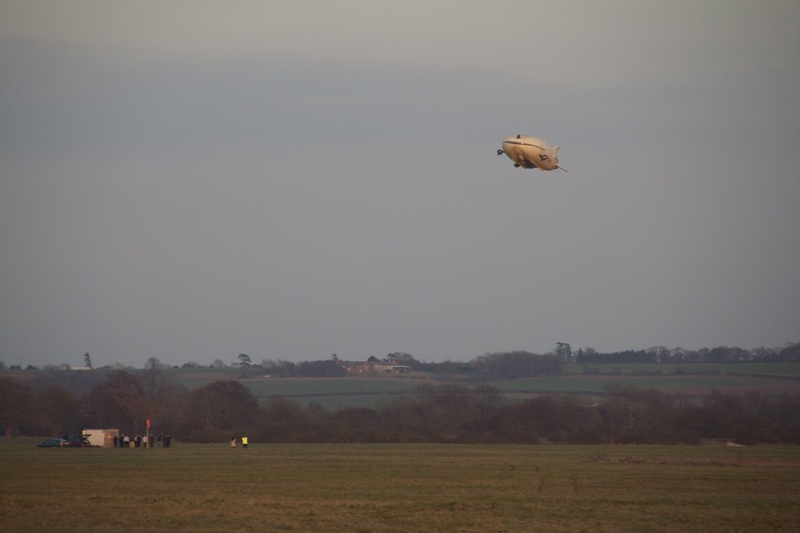 Coming in to land she made 3 landing tests, checking different landing approaches in zero wind. 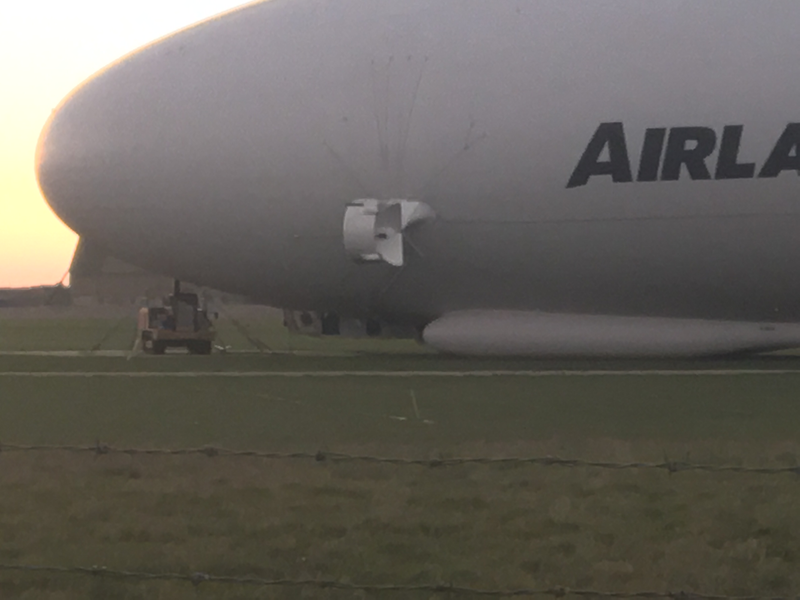 On the 4th attempt she was down. 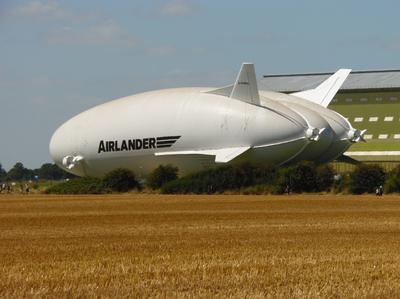 Now as we approach the end of June we await the next flight of Airlander, the weather seems to be a tad changeable at the mo, Airlander can fly in all types of wind conditions but in the early phase of the flight test program she can only fly in calmer weather, this will change as the program continues. 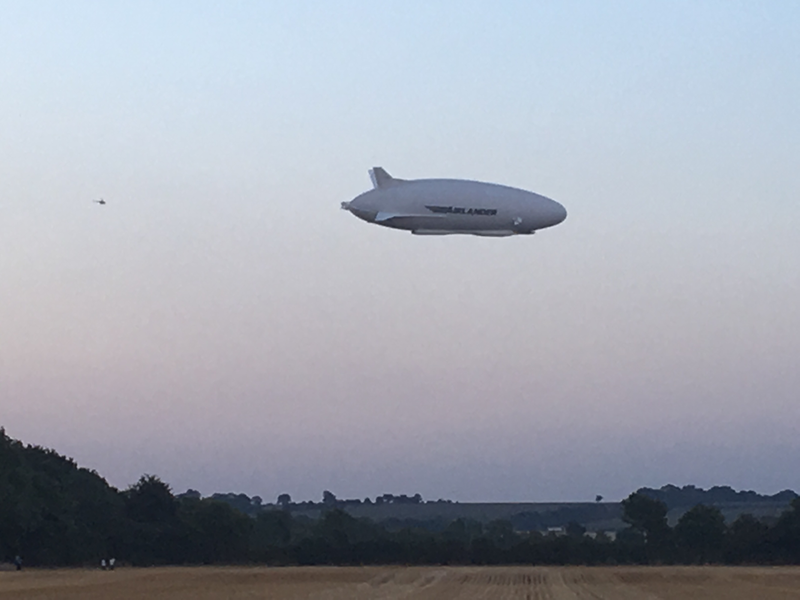 Airlander on her second flight of 2017. 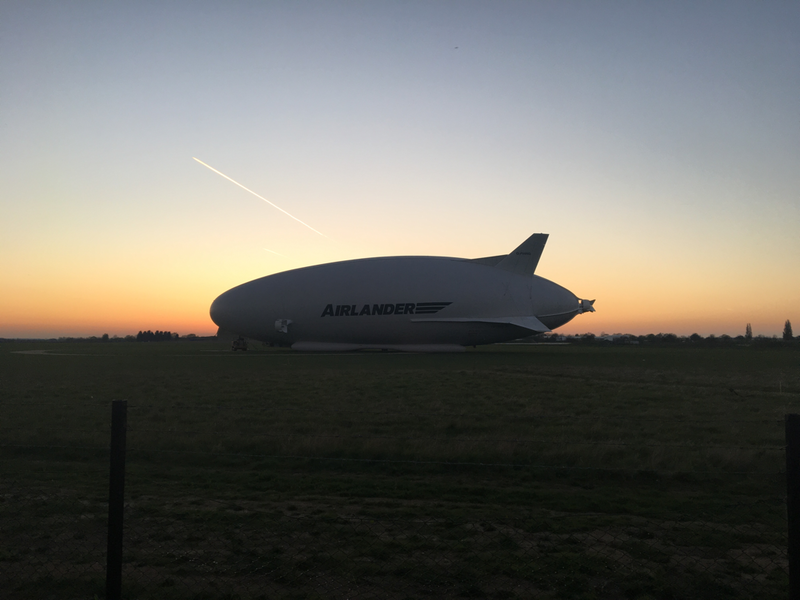 Airlander flew on the 10th of May 2017, she flew for about 3 hours and behaved perfectly. Airlander is now awaiting her next flight which should be soon. 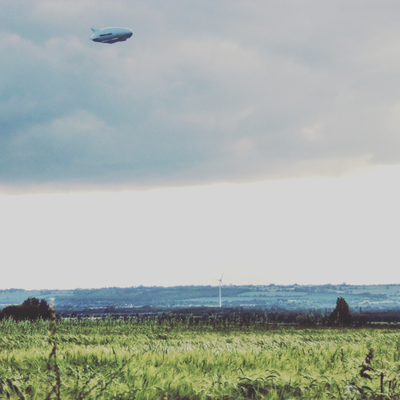 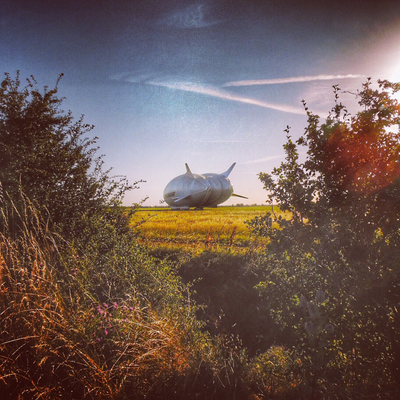 Airlander as she took off from Cardington on May the 10th 2017. 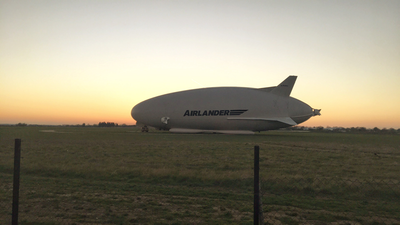 We wait for Airlanders first flight of 2017, we watch the weather. 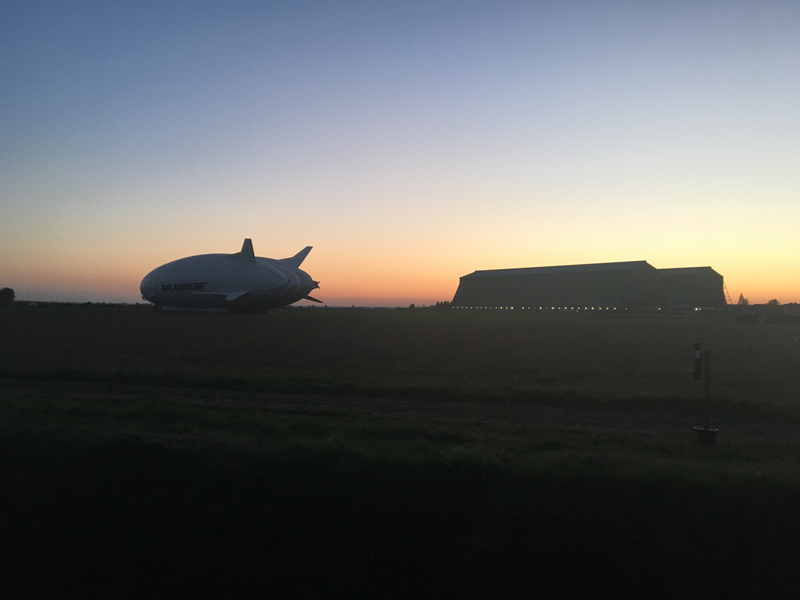 Airlander at Cardington awaiting her first flight of 2017. Airlander roll out, amazing to witness. 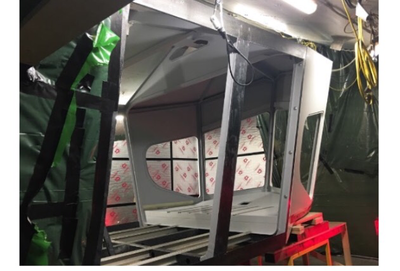 Airlander work continues, latest pics showthe auxiliary landing system air bags and also the excellent crawler mast that will be replacing the JCB when she is brought out of the shed at Cardington very soon. 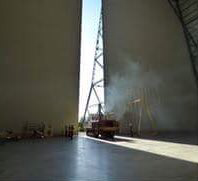 Airlanders crawler mast at the front of Shed 1 at Cardington with the vast 400 ton doors slightly open. 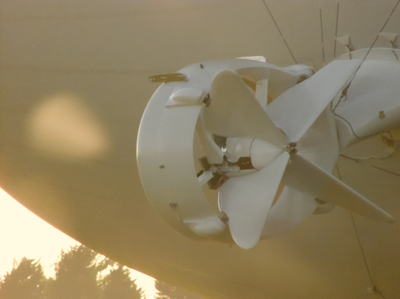 Airlander Crawler mast at the front of Airlander. 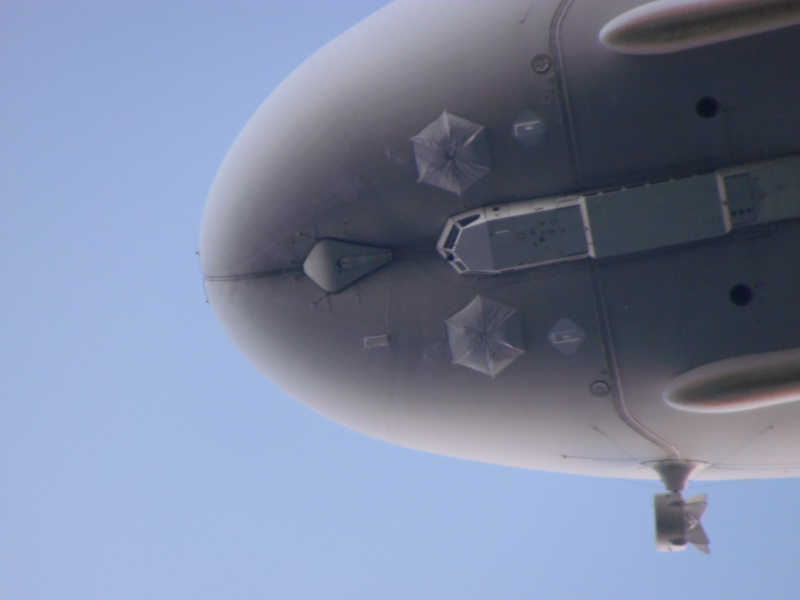 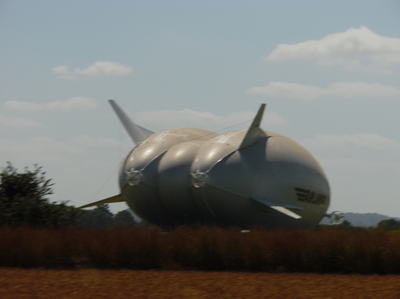 Airlander auxiliary landing system airbag just forward of the control deck. 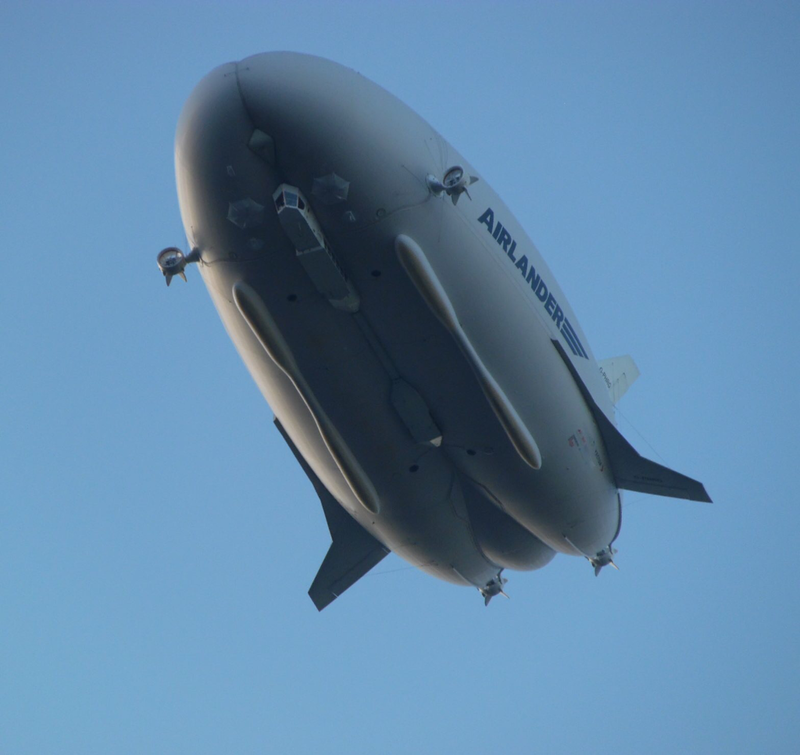 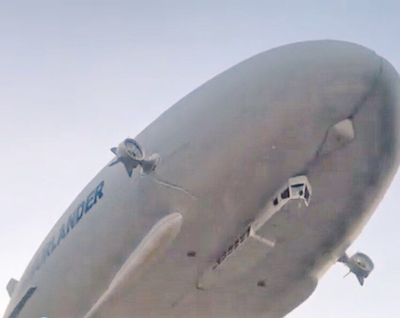 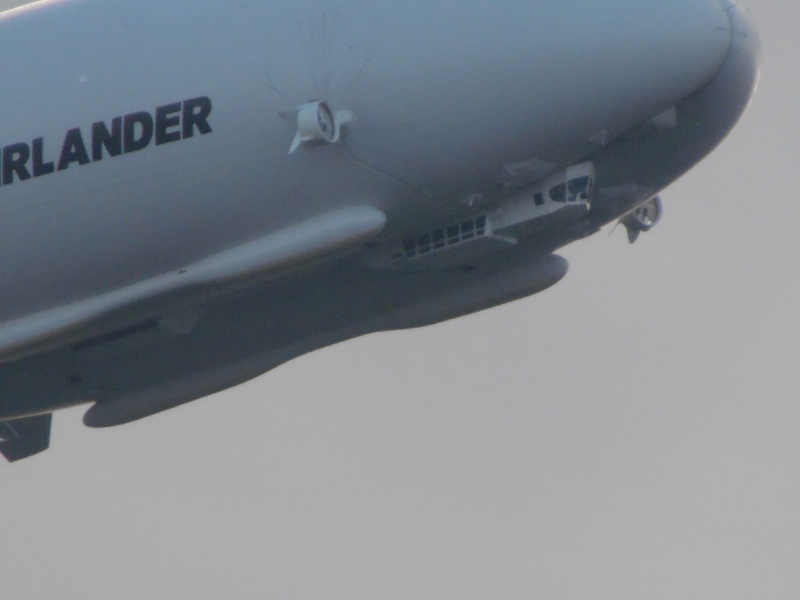 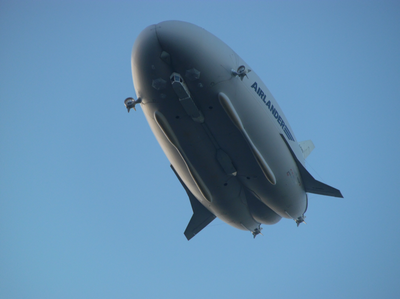 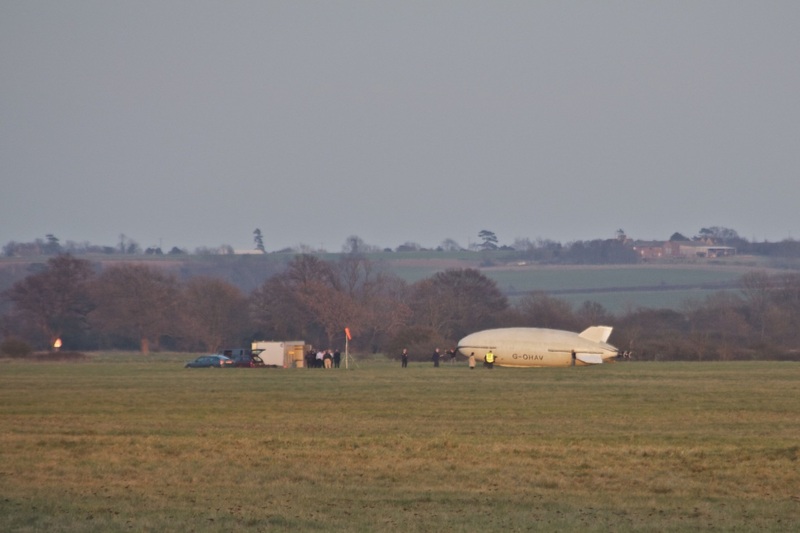 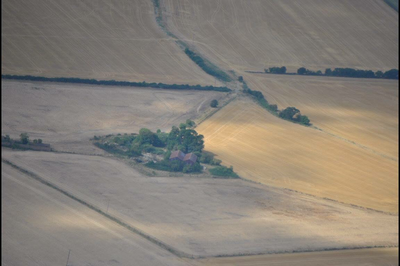 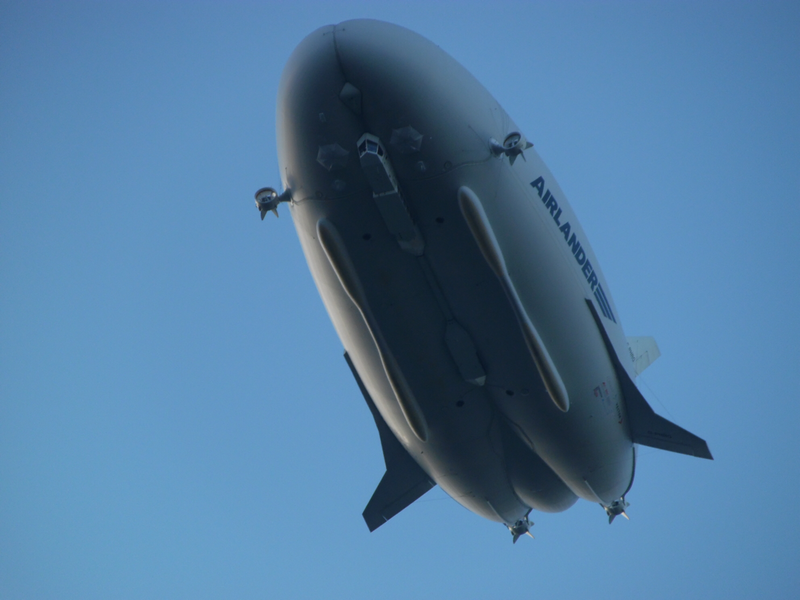 airlander incident report released by AAIB today, page 36. 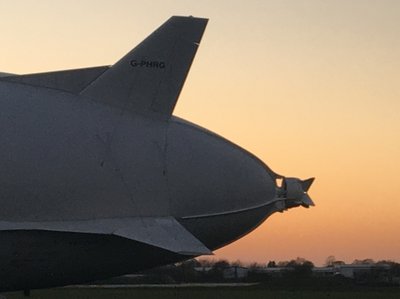 AIRLANDER ENGINE TESTING TONIGHT, 8TH OF MARCH 2017. 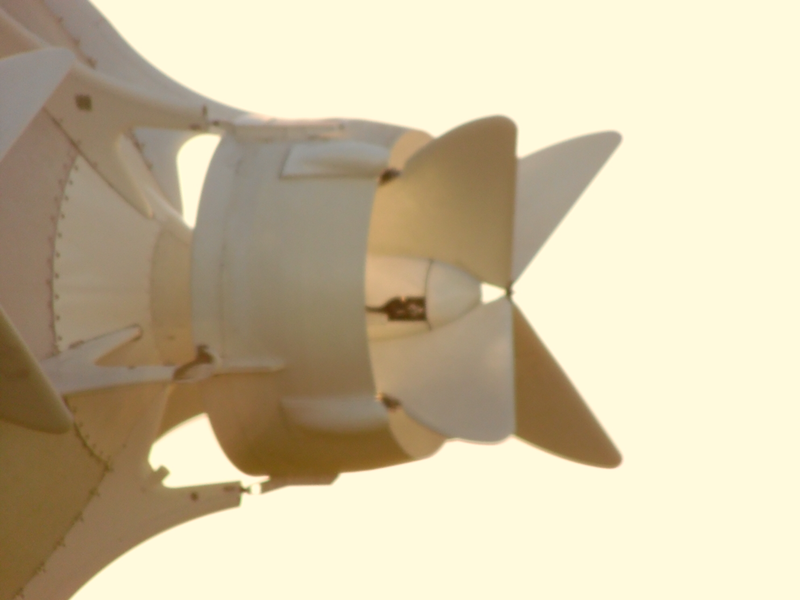 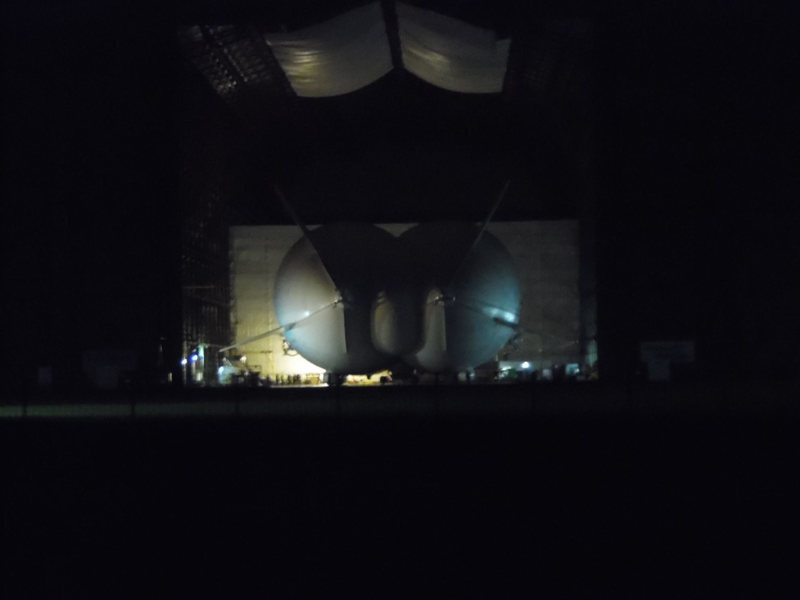 ENGINES OF AIRLANDER UNDER TEST ON THE SHIP IN SHED 1. 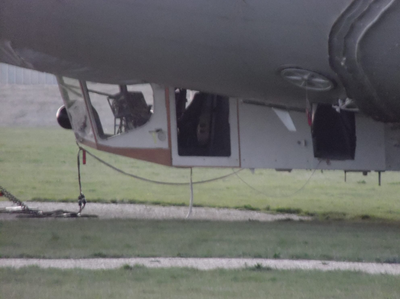 Engines are clearly heard in neighbouring Shortstown, Shed 1's doors slightly open during testing. Went on a visit to See Airlander last night and I can say the ship is looking fantastic. 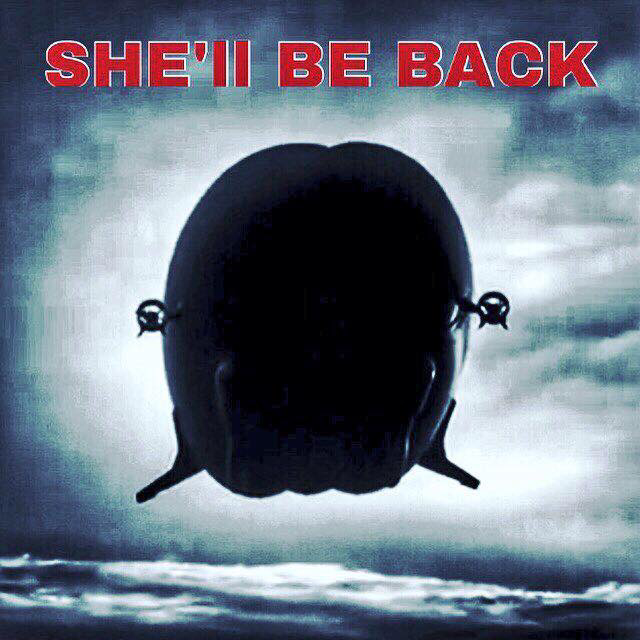 06th march 2017. Lots of new new stuff too. Ships gonna look epic when she rolls out which is very soon. 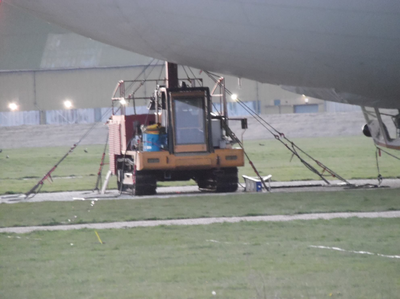 Gondola structure is repaired and the ship is currently going through testing with engine runs starting soon. 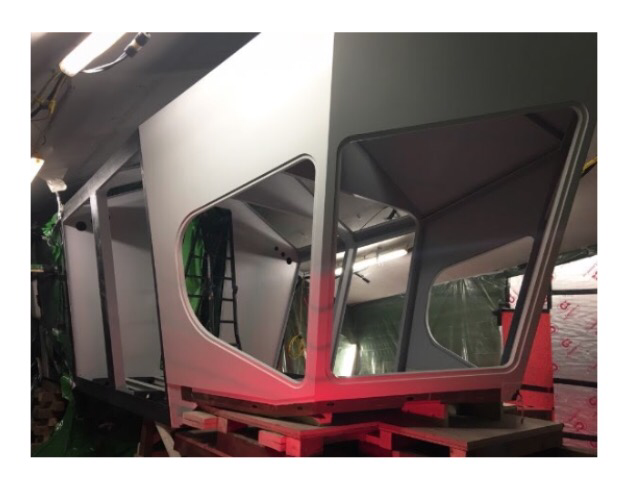 New mast infrastructure is almost ready for testing too. 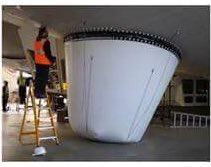 Its all coming together fast. 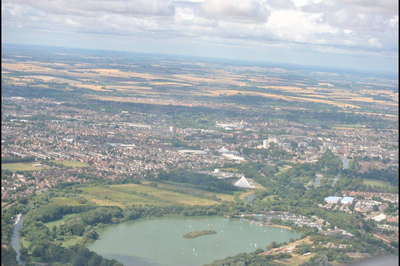 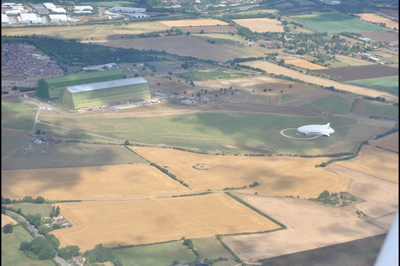 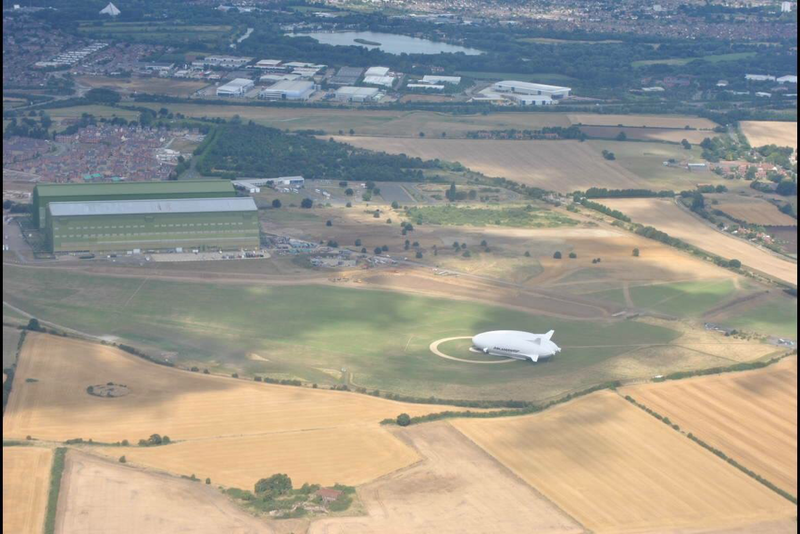 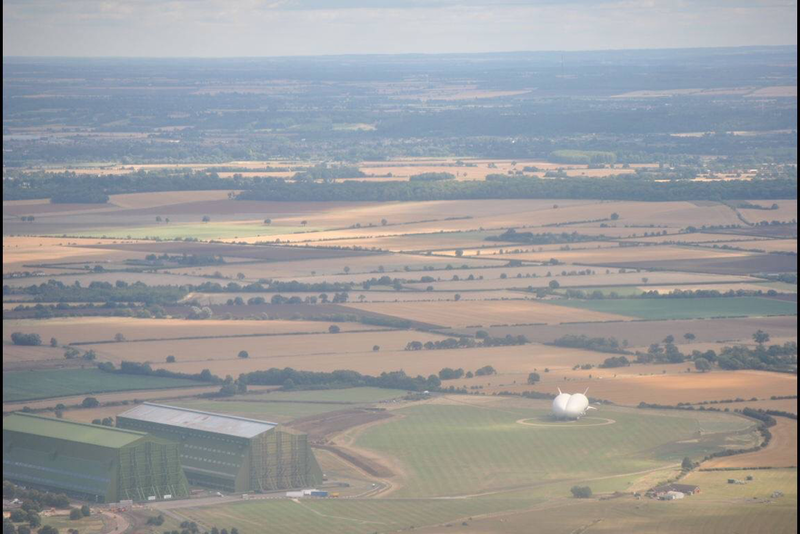 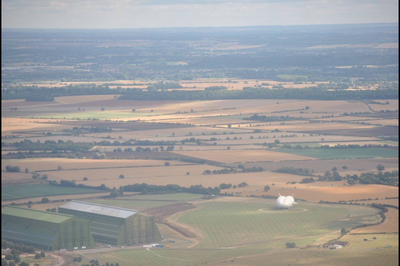 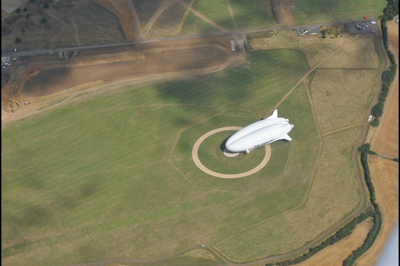 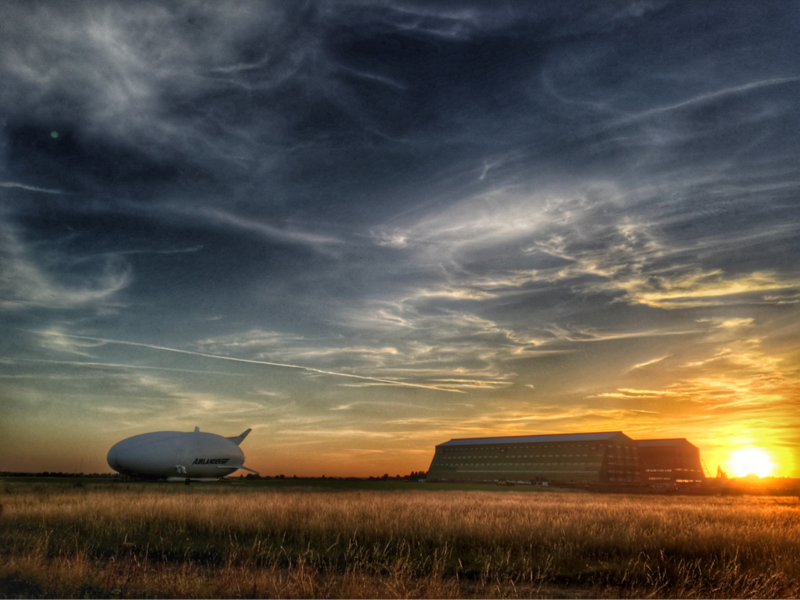 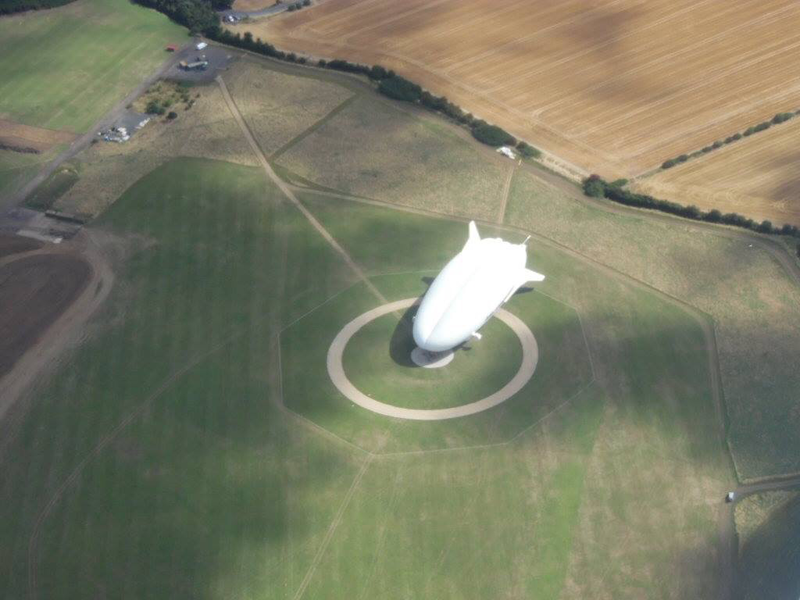 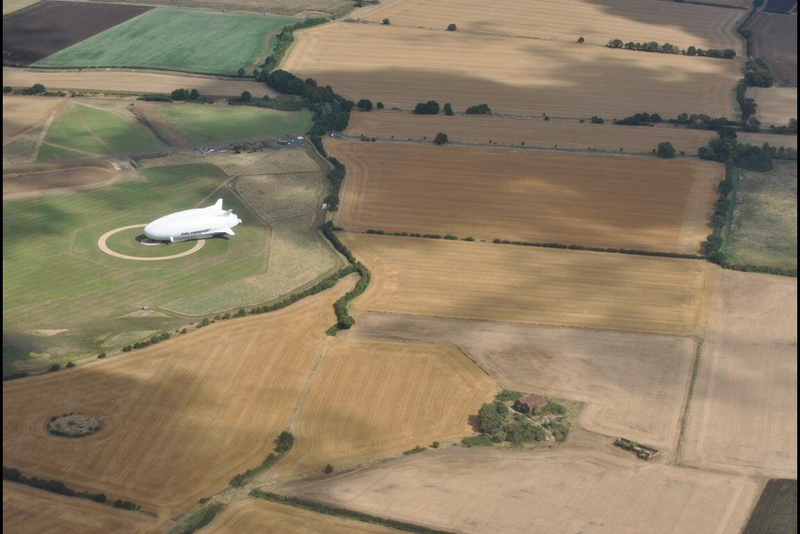 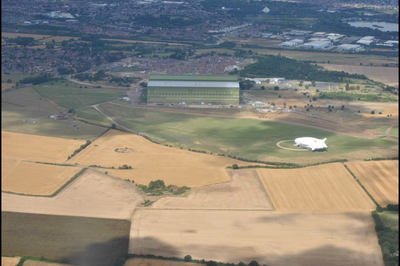 AIRLANDER will be returning to the skies of Bedfordshire very soon. 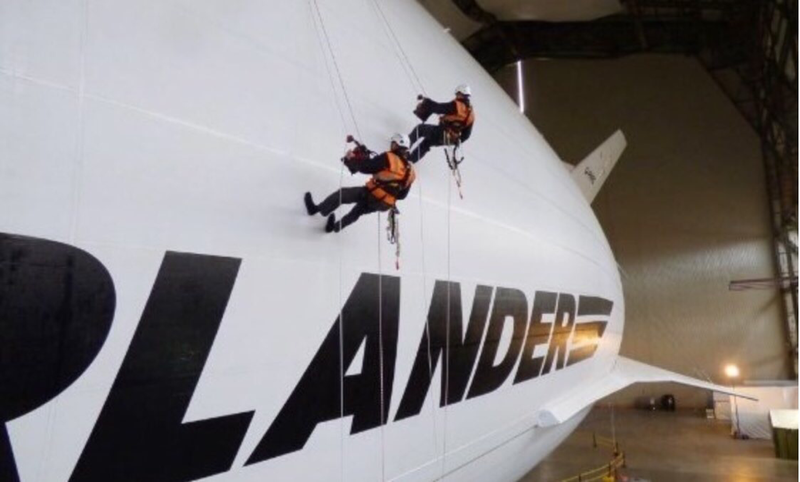 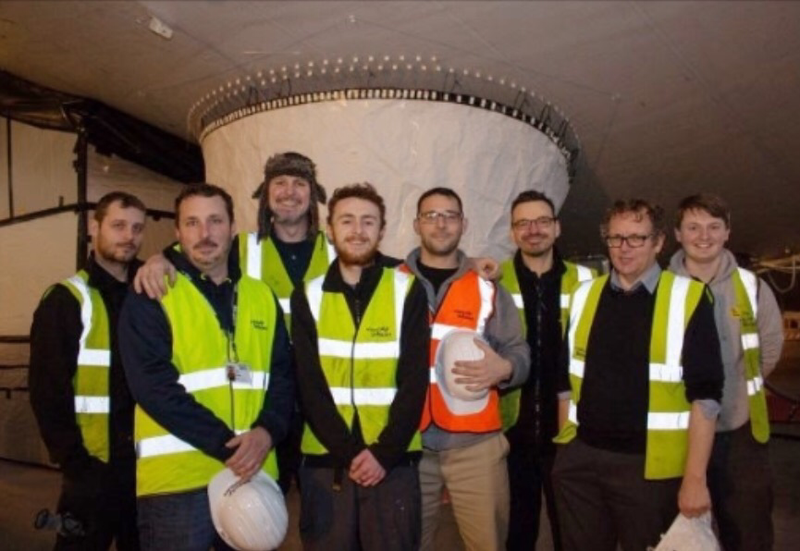 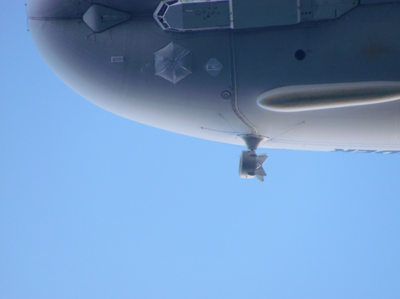 Airlander team abseil Airlander to access hard to reach spots on the largest aircraft in the world. 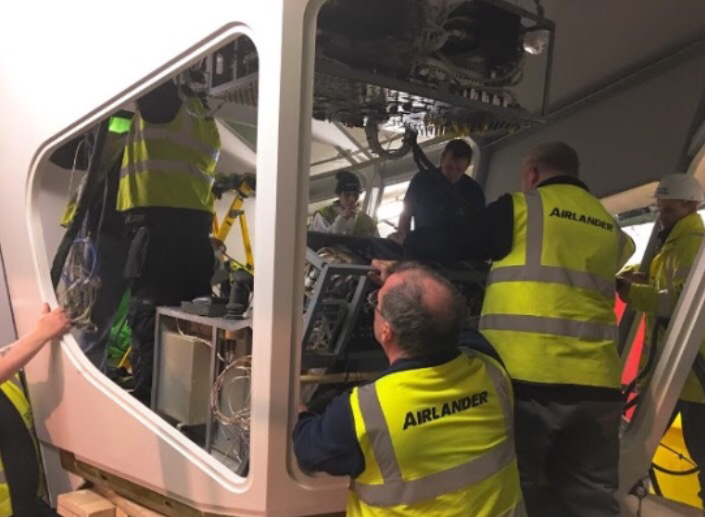 Airlander auxiliary landing system being fitted. 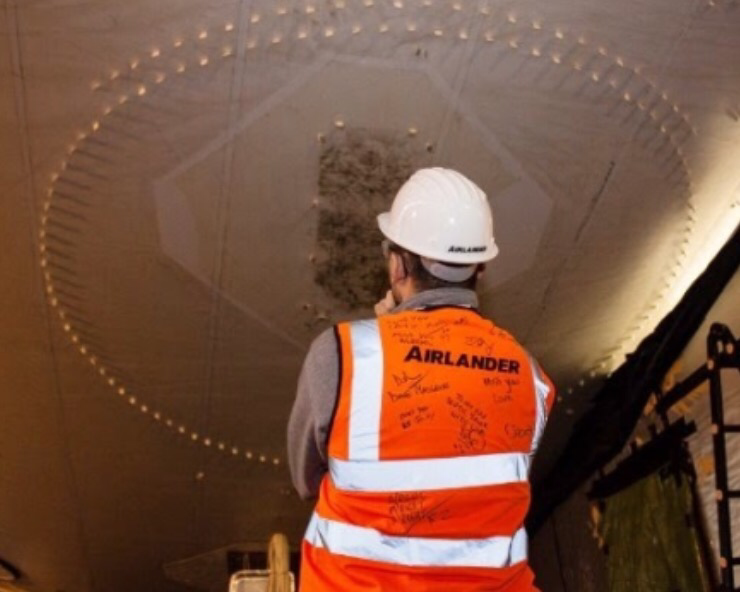 Airlander flight deck protection system being installed. 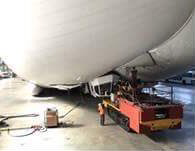 Consisting of two air bags fitted forward of the flight deck as a precaution post hard landing incident. 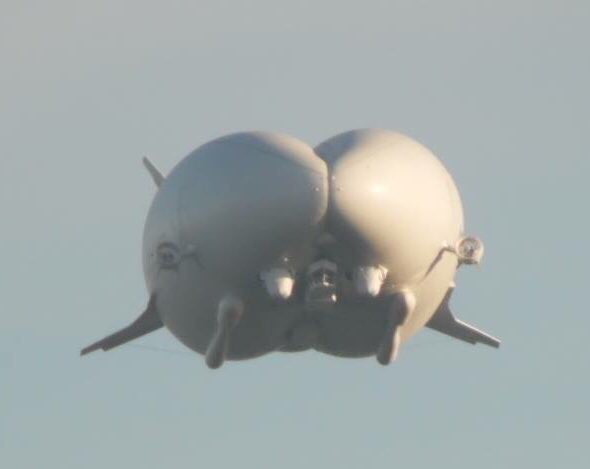 Airbags deploy if flight deck is in danger on ground strike. Airlander repair work to the flight deck. 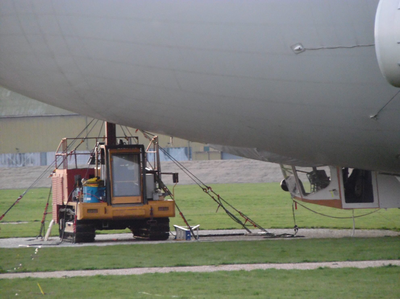 Another shot of the flight deck repairs to Airlander at Cardington. 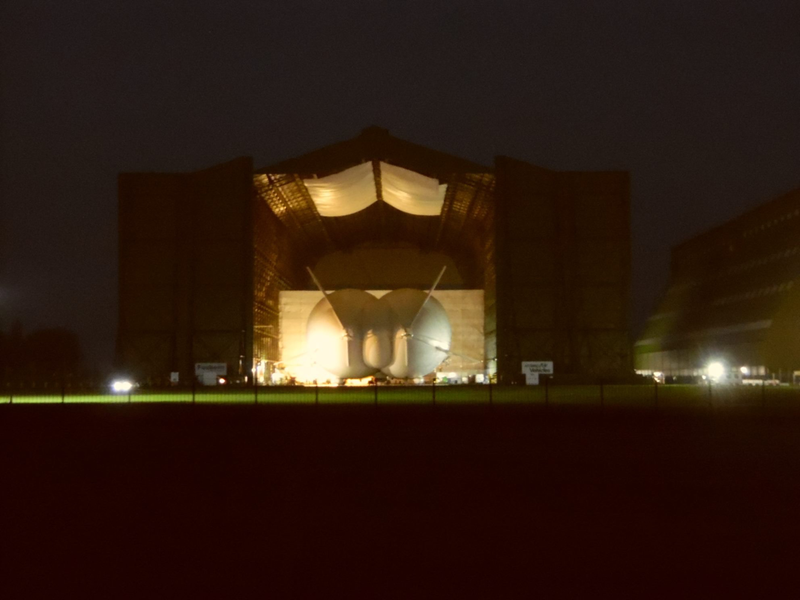 Shed 1. 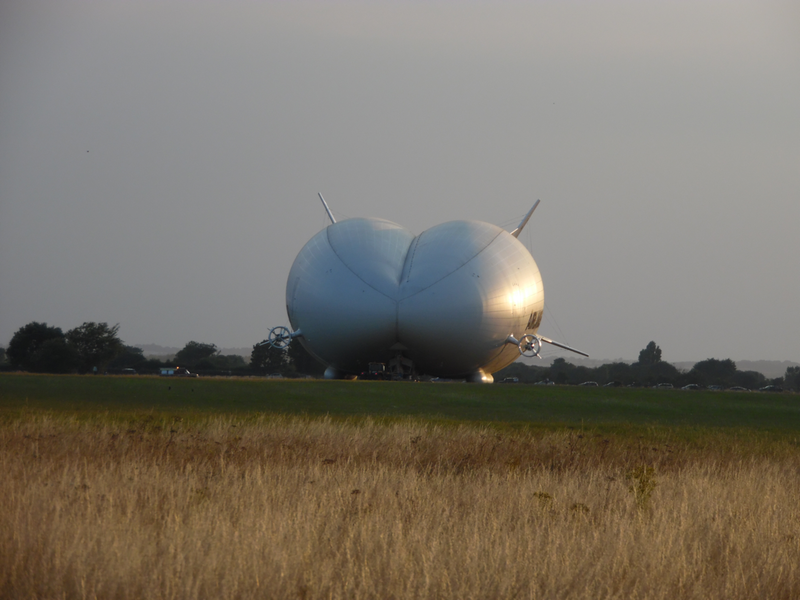 Airlander repairs are almost complete, will be looking fantastic when they bring her back out. 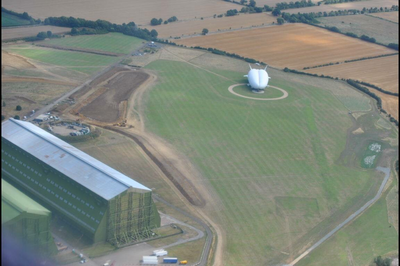 Mooring mast site where the R101 and R100 and R33 once moored. 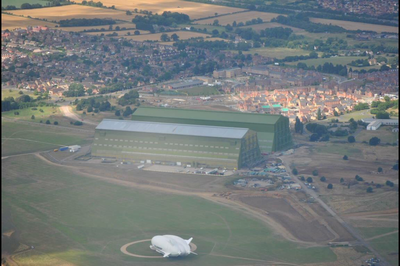 Airlander on the airfield at Cardington with the sheds behind. 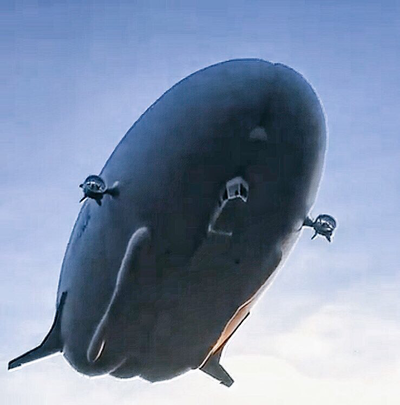 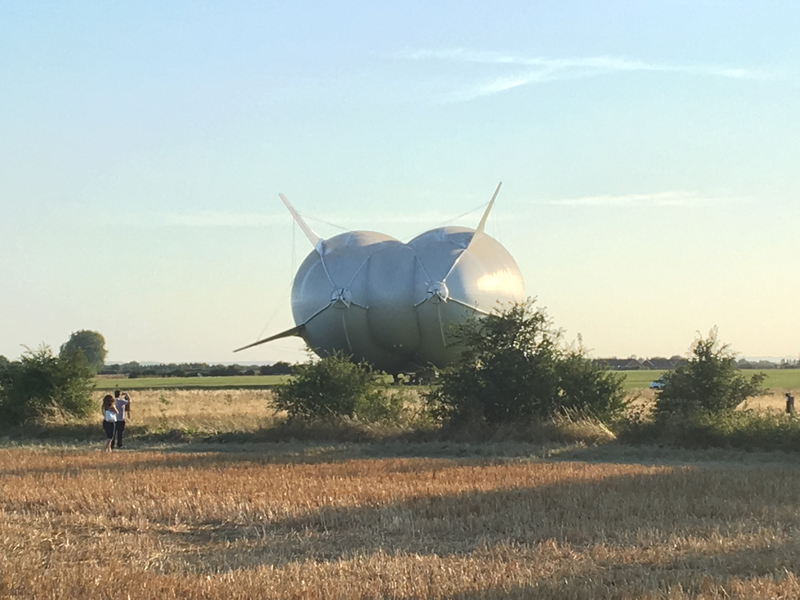 as we are all aware of by now Airlander received a heavy landing the other day damaging her forward gondola. 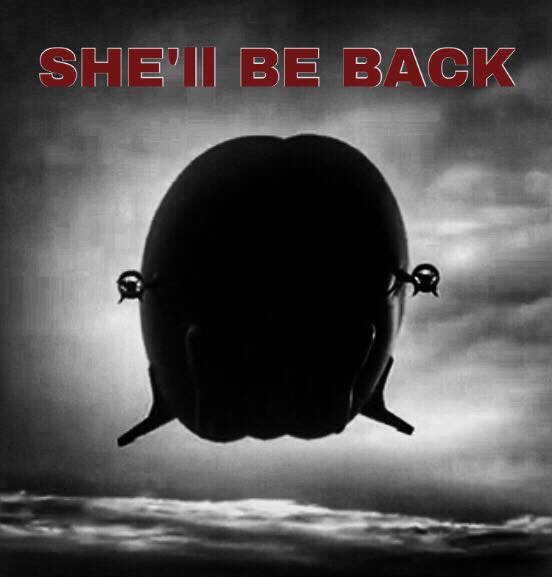 This fantastic ship will be back. 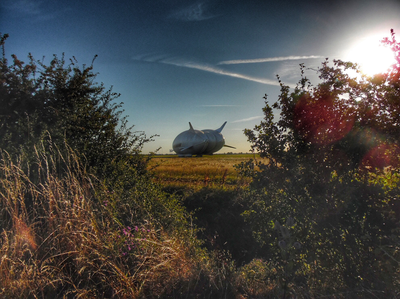 A few months for inspection and repairs and she will grace our skies once more. 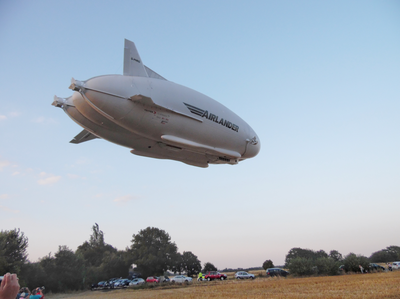 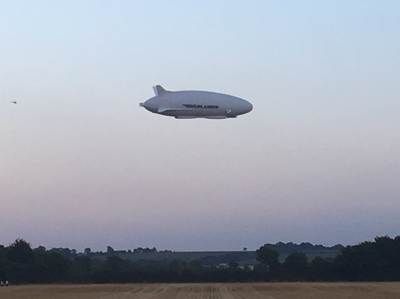 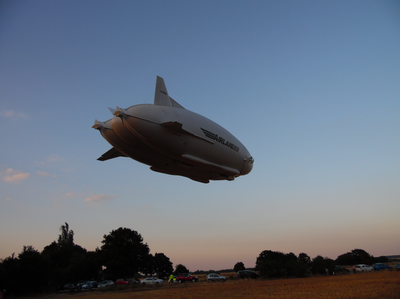 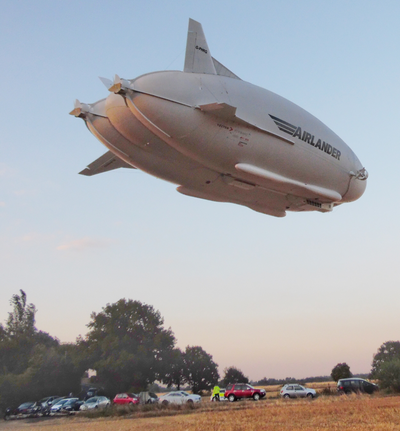 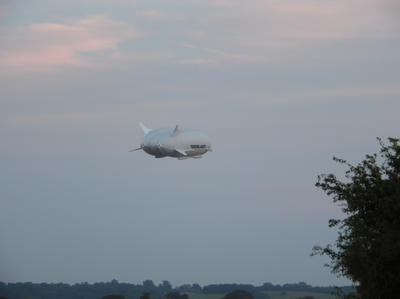 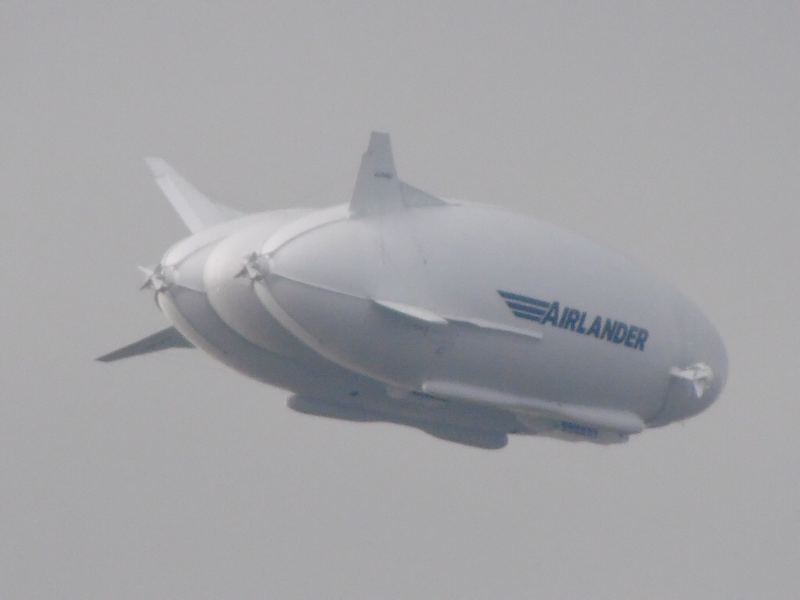 Airlander flew on the 17th of August 2016. 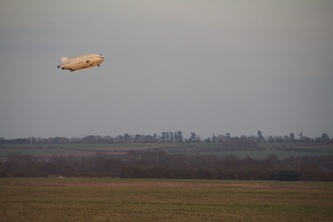 She flew up to 500ft and reached a speed of 40mph, this was her maiden UK flight and further test flights to totaling 200 hours will be continuing over the next few weeks. 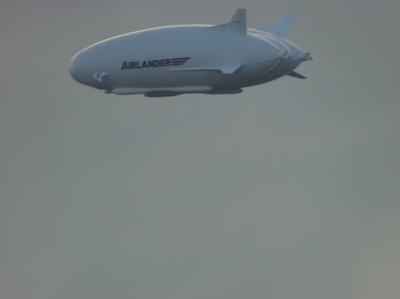 I witnessed this flight and the ship looked magnificent, huge crowds had gathered to witness this event. 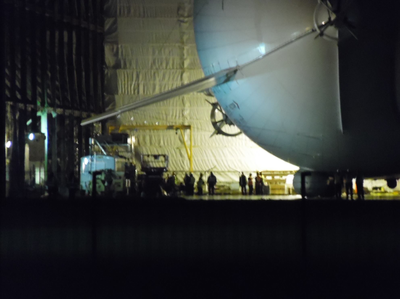 Updates on the continuing flights will posted as and when it happens. 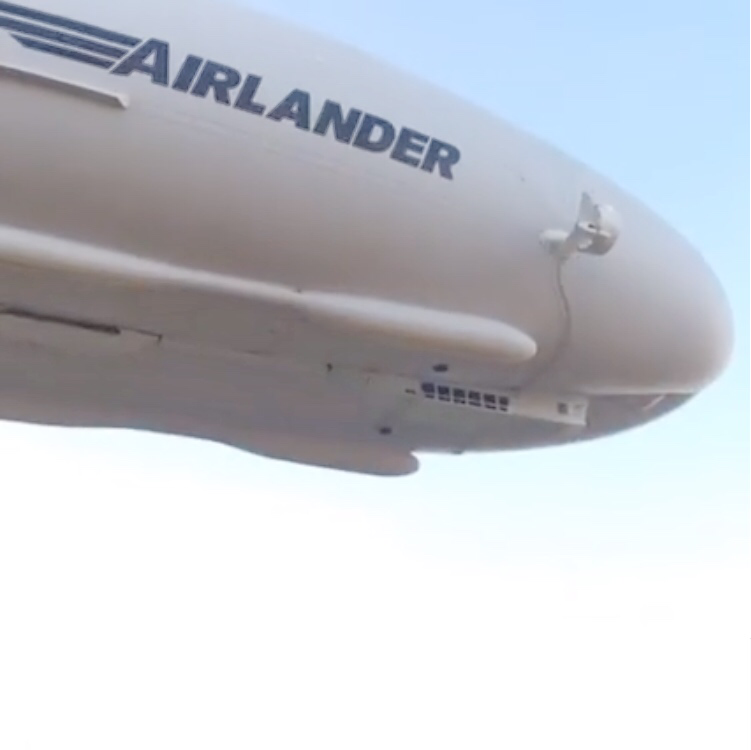 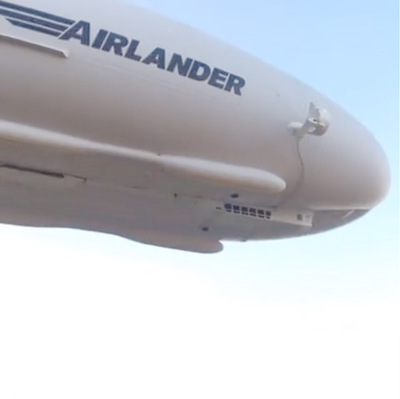 last min tech glitch delays Airlanders maiden flight on Sun 14 of August 2016. As huge crowds gathered to witness this event the news came in at the last min that a last min preflight check technical glitch had came up. 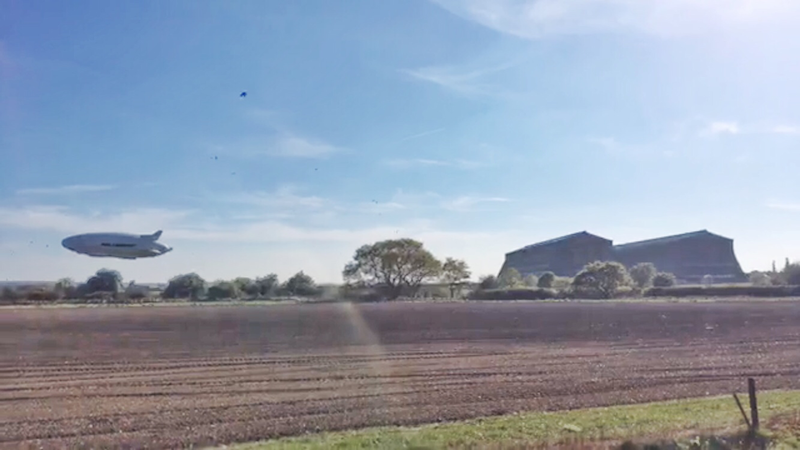 Official HAV released video of the Shed exit of Airlander at Cardington, Bedfordshire. 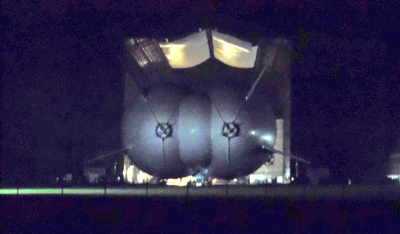 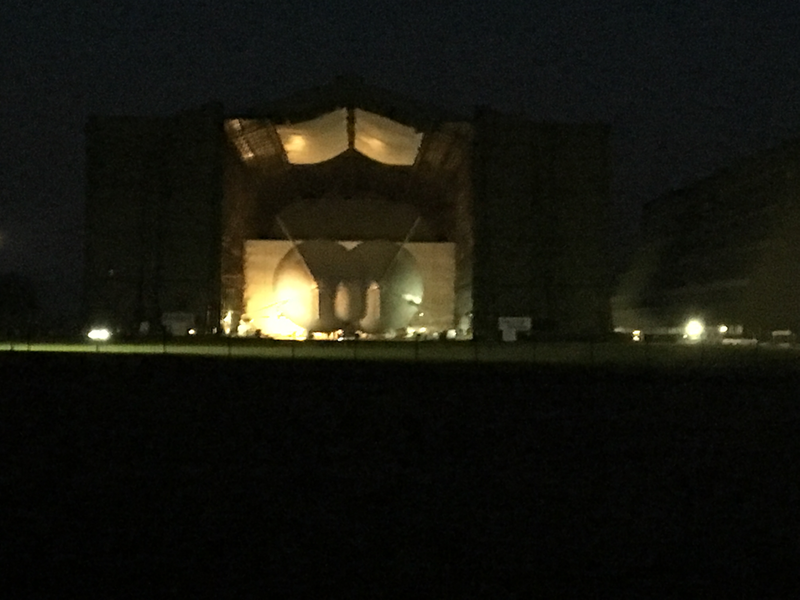 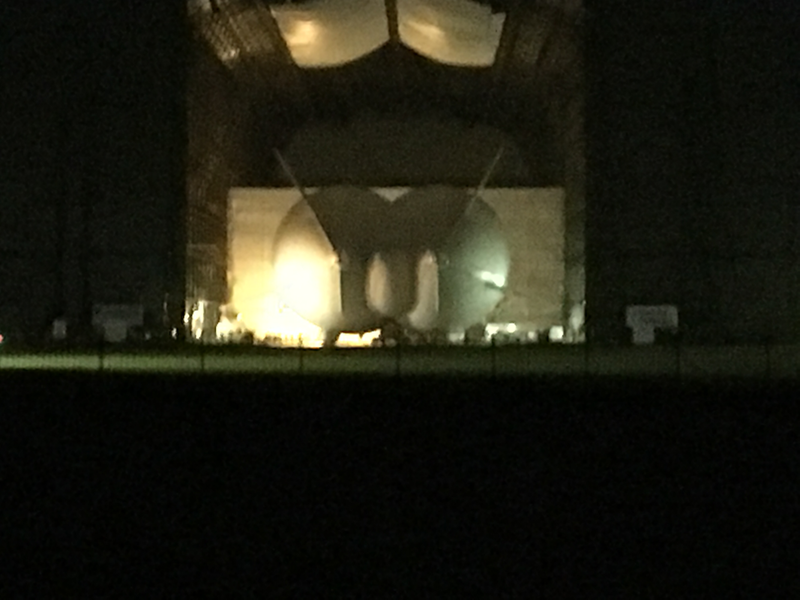 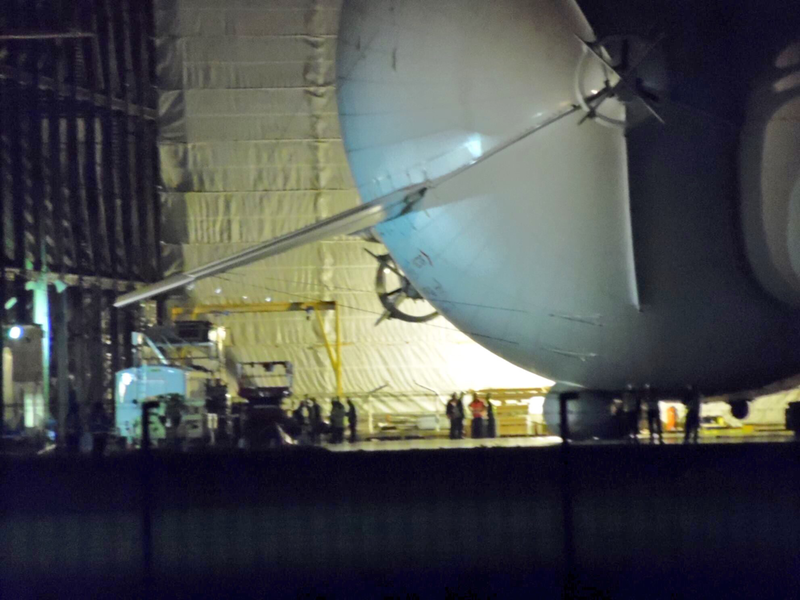 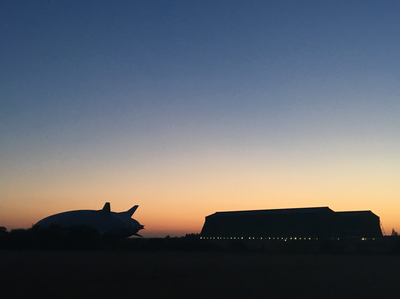 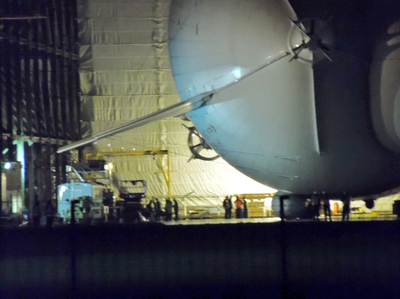 Airlander is out, in the early hours of the 6th of August 2016 HAVs Airlander was rolled out of shed 1 at Cardington, the largest aircraft in the world currently sits on her mooring pad undergoing ground test before the start of the flight test program, very exciting time to be a Cardington and Airlander fan. 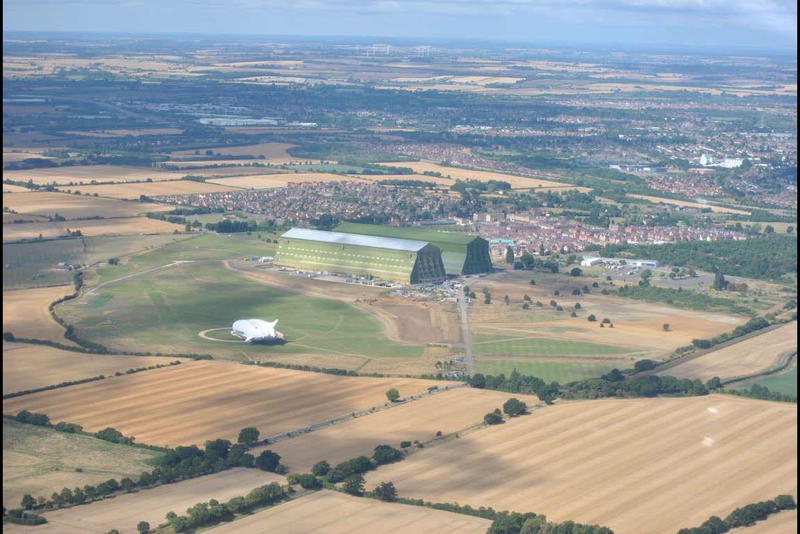 Airlander day is approaching at Cardington, the day is fast approaching when the Airlander will emerge from her Shed at Cardington. 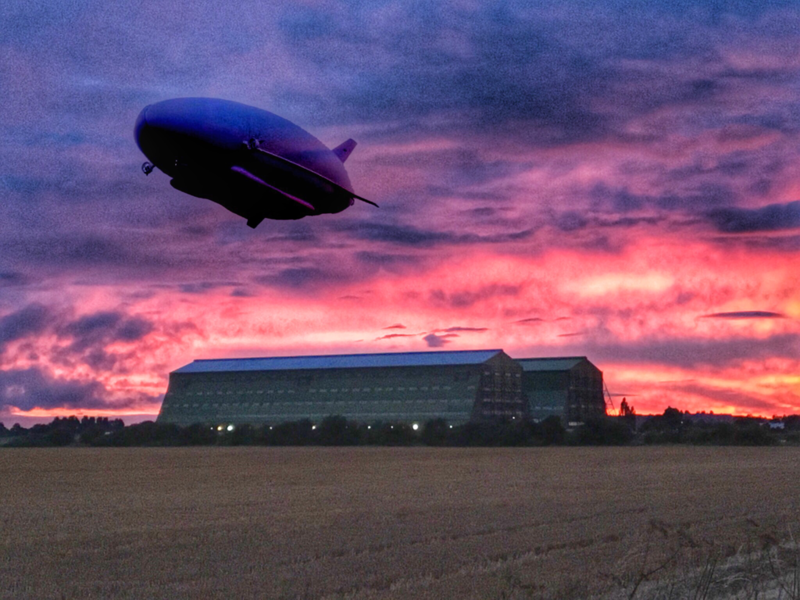 An exciting time to be a Cardington airship fan. 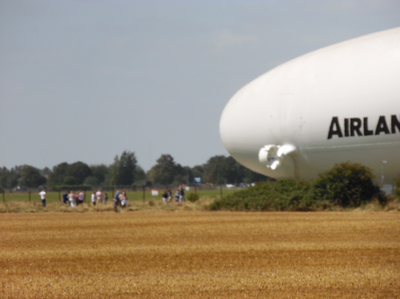 Fantastic article from Aviation week covering the Airlander in amazing detail, well worth a read. find it here. Shed 1 at Cardington's floor at the front has now been resurfaced, next is the recladding of the front of the shed and then finaly to complete the restoration of Shed 1 the airlander will be moved to the front of the shed to allow for the resurfacing of the rear of Shed 1. 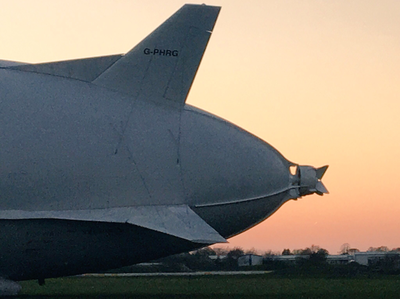 HAV Crowdcube crowd funding has raised over 2 million pounds, this money is part of the airlander return to flight program. 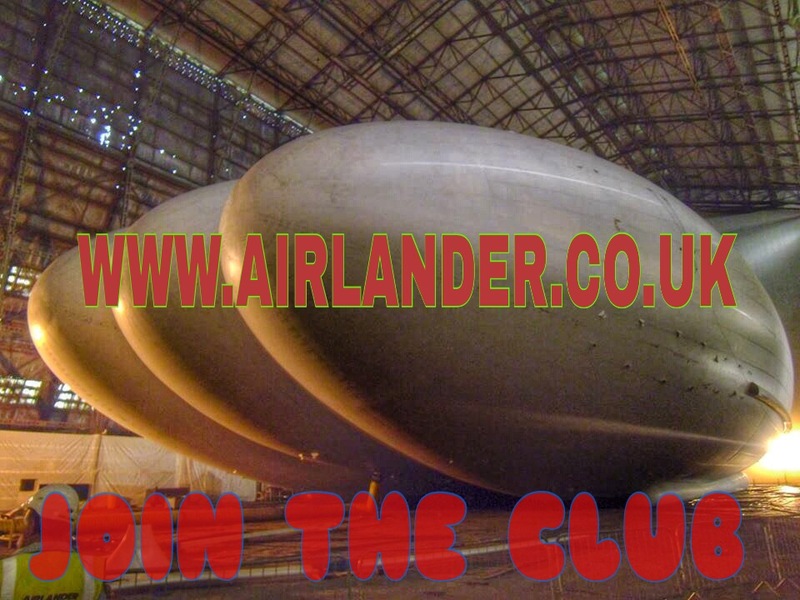 Join the club for a one off payment and become a part of Cardington's history. POSSIBLE TEST FLIGHTS/LAUNCH LATE 2015. 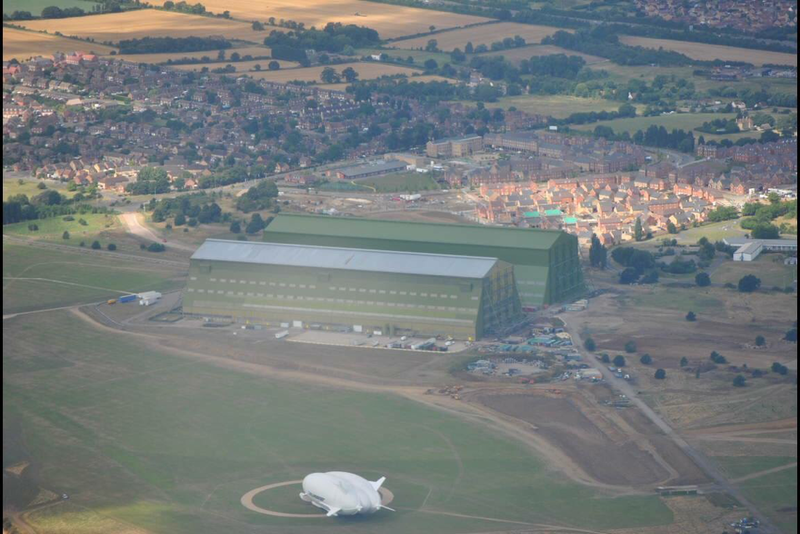 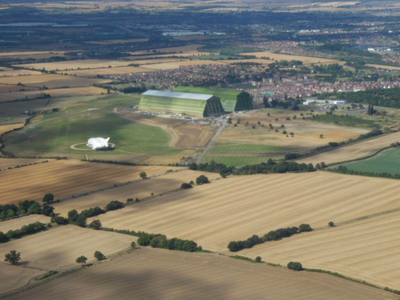 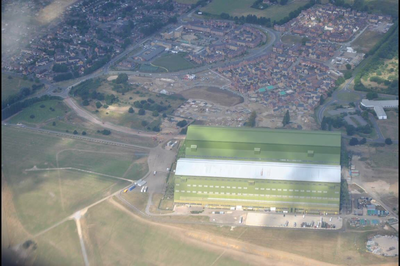 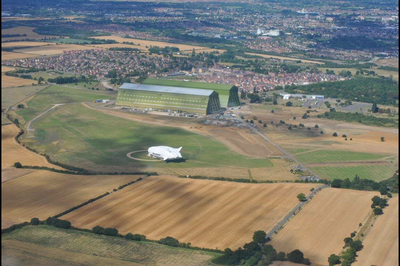 CARDINGTON WILL BE USED FOR ASSEMBLY OF HAV304, RENAMED AIRLANDER. 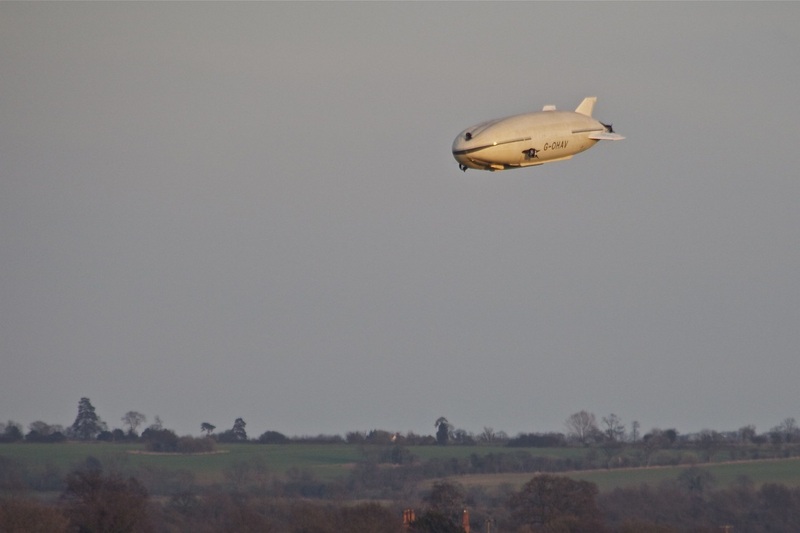 British aerospace success story Hybrid Air Vehicles will this week launch a share offering to tap the capital markets to fund its latest expansion plans. Bad news from the US, The army has cancelled the LEMV, No news from NG or HAV yet on the matter but when they release more news ill post it here. 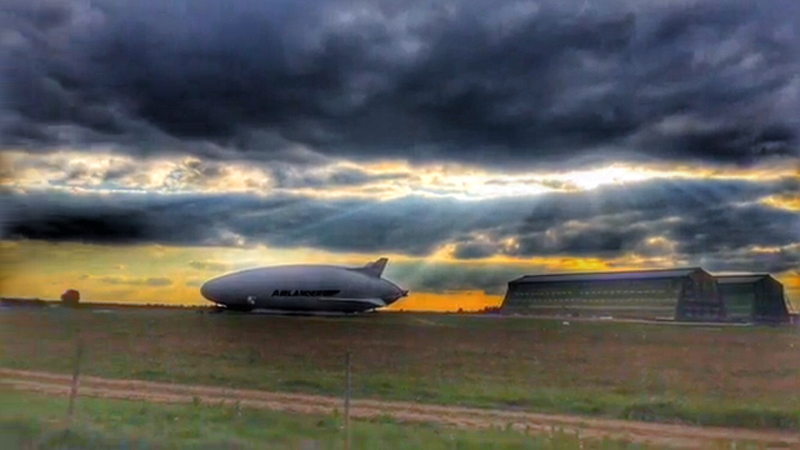 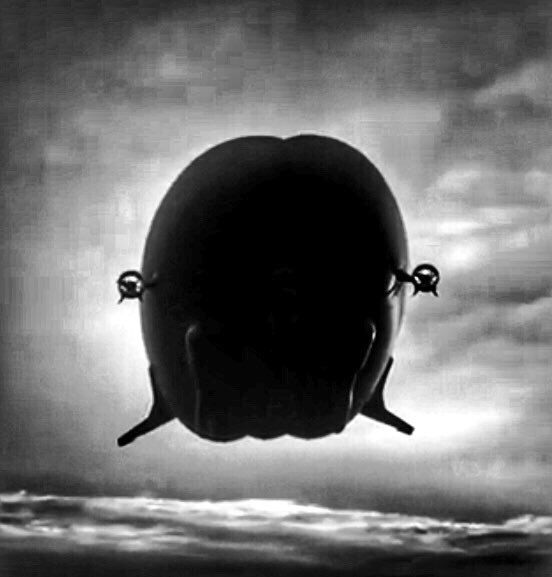 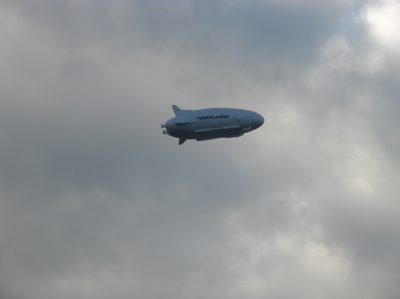 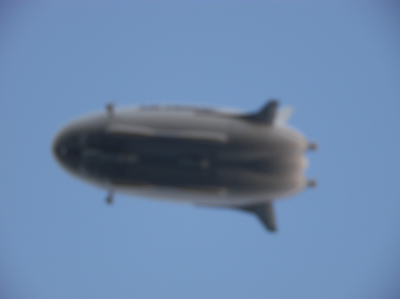 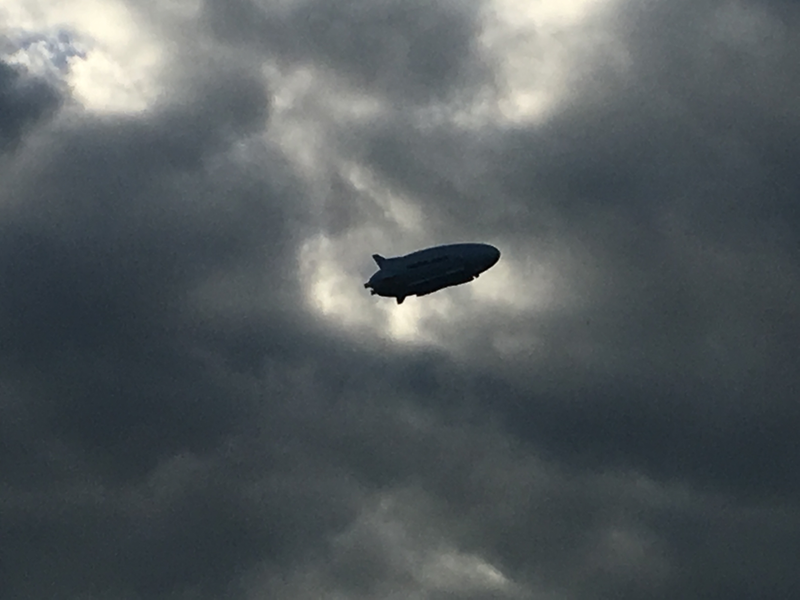 Fantastic video of the flight of the LEMV, from Lakehurst New Jersey. A fantastic site and an amazing ship. LEMV IS OUT, ROLLED OUT FROM LAKEHURST THIS MORNING, PICTURES AND NEWS ARTICLES WILL BE POSTED HERE WHEN THEY START TO FILTER THROUGH. 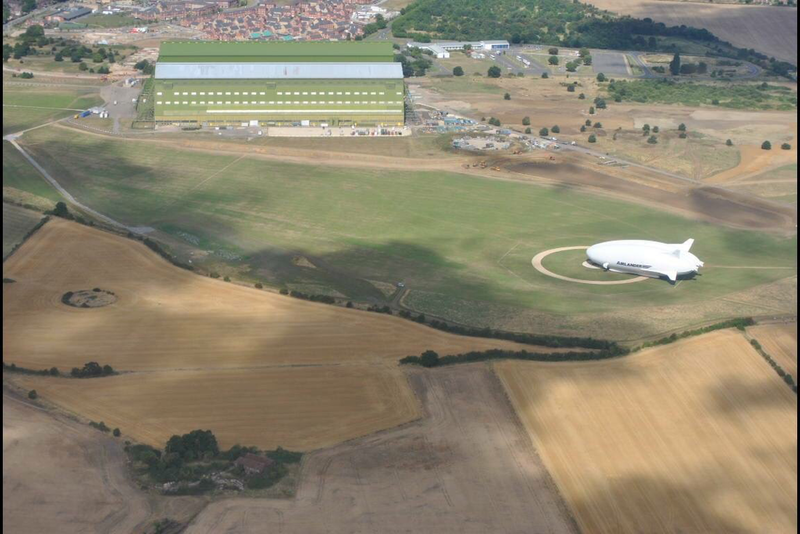 Hybrid air vehicles last year won a huge contract in the US with their partners Northrop Grumman, their HAV 3 test model has continued tests at Cardington however their main facility has moved to Cranfield just up the road. 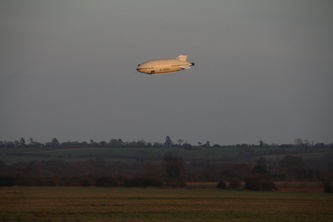 The HAV304 is due for her flight soon in the USA, I will keep you up to date with the her progress. 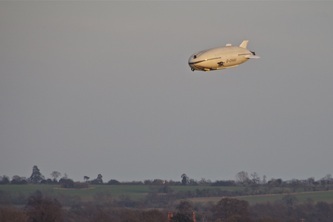 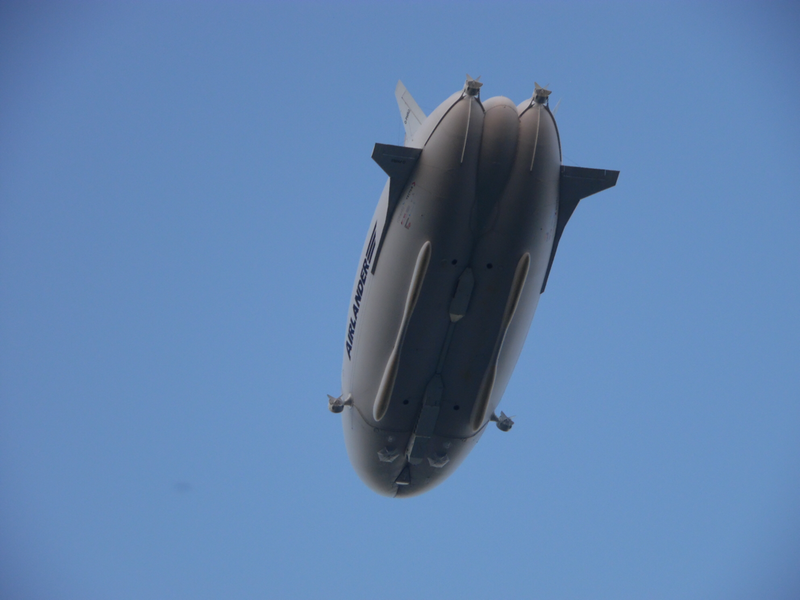 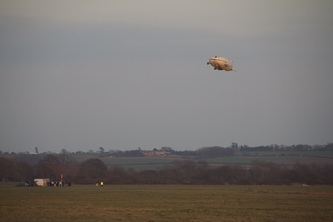 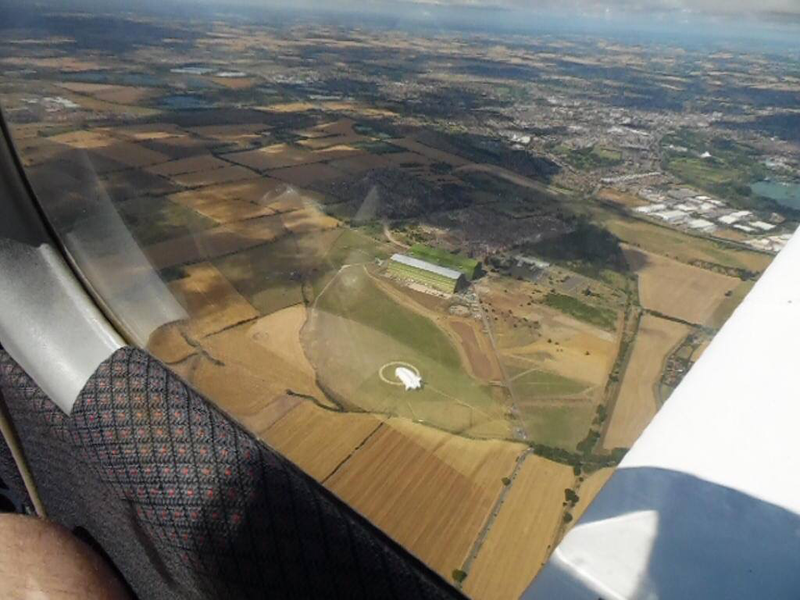 below are some pics of HAV 3 flying at Cardington taken by Rob Amos. 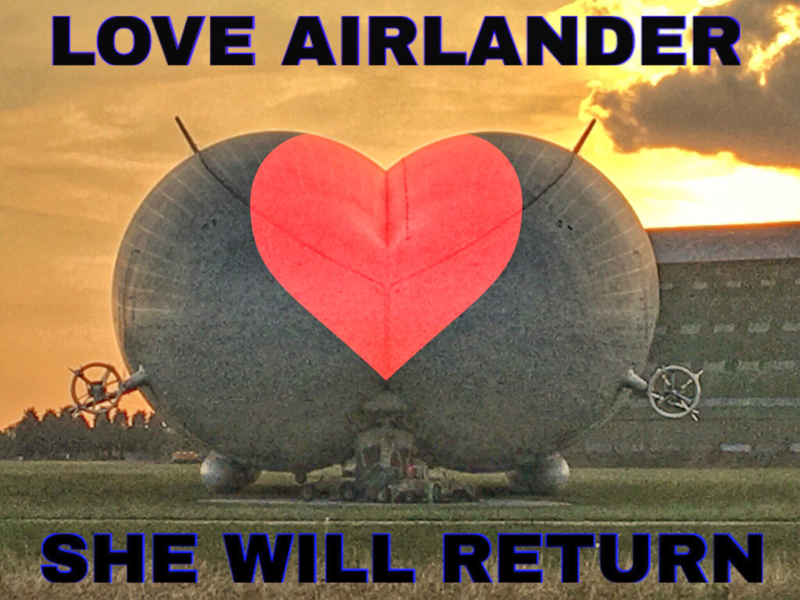 The HAV's are Roger Munks last great LTA based vehicle's to fly, he will be missed but his legacy will live on in HAV. 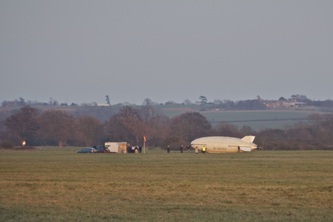 the news on one of the links below is the LEMV will fly sometime soon watch this space the LEMV's are coming.